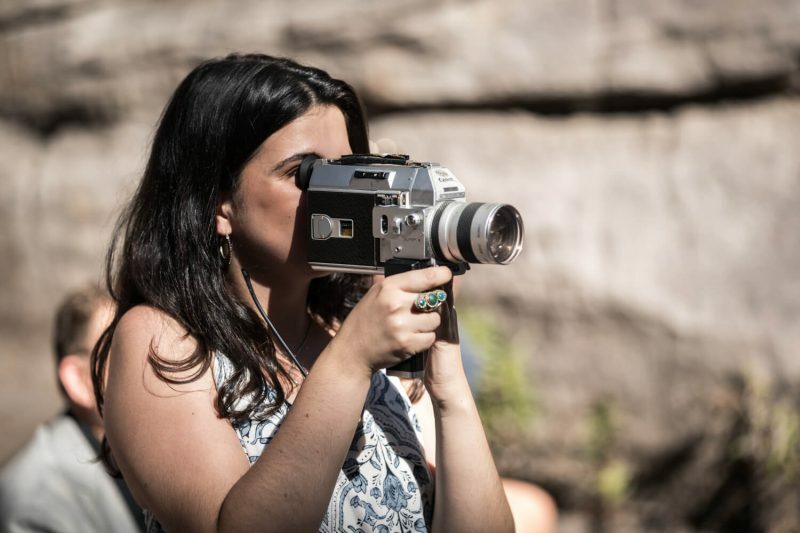 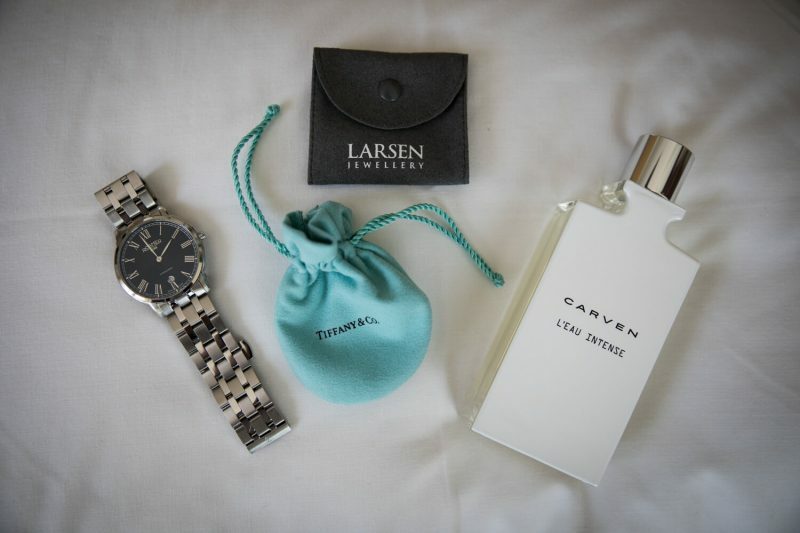 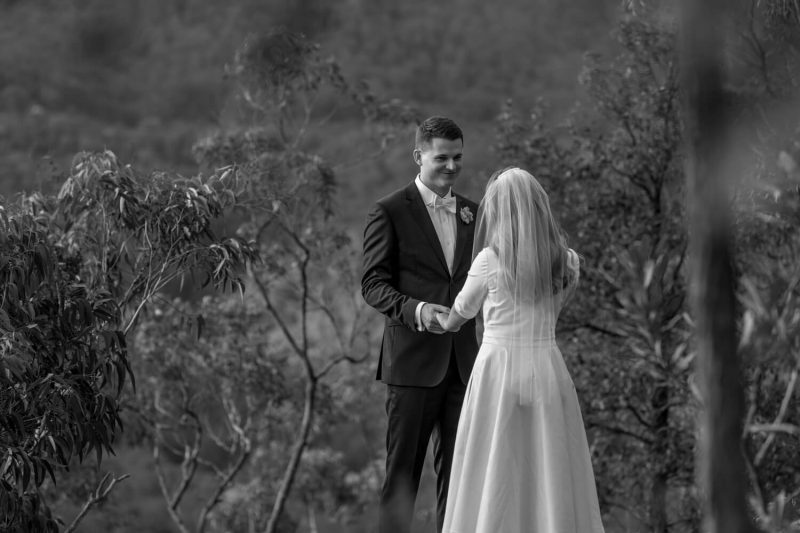 You know it's going to be a good day when you are gearing up to shoot a Kangaroo Valley wedding. 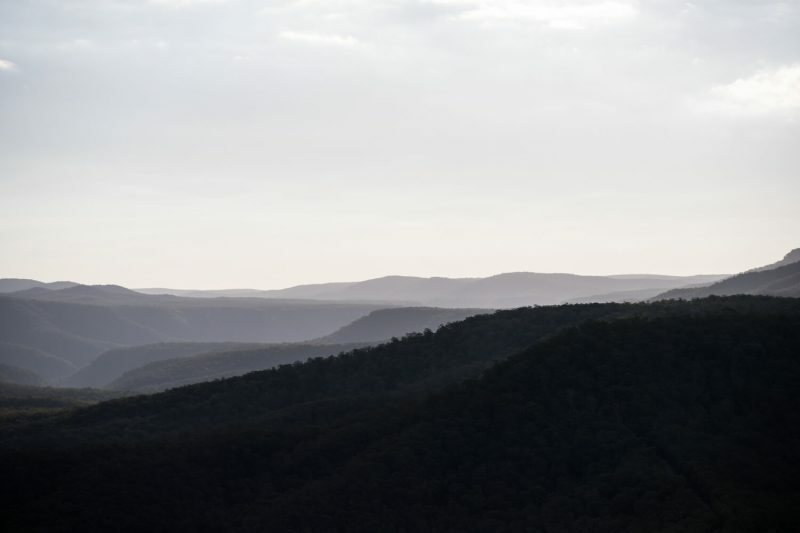 Your mind immediately begins to conjure up thoughts of rolling green fields, overgrown forests with light penetrating the dense canopy and views which seem to stretch for as far as the eye can see. 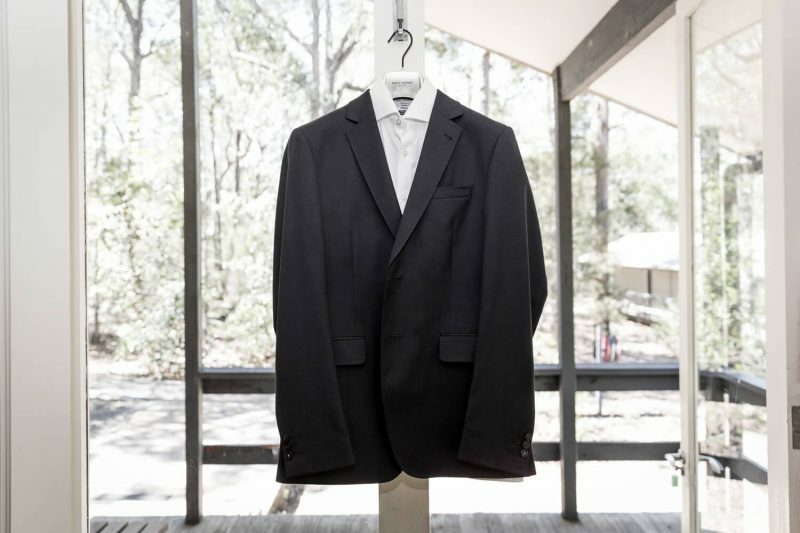 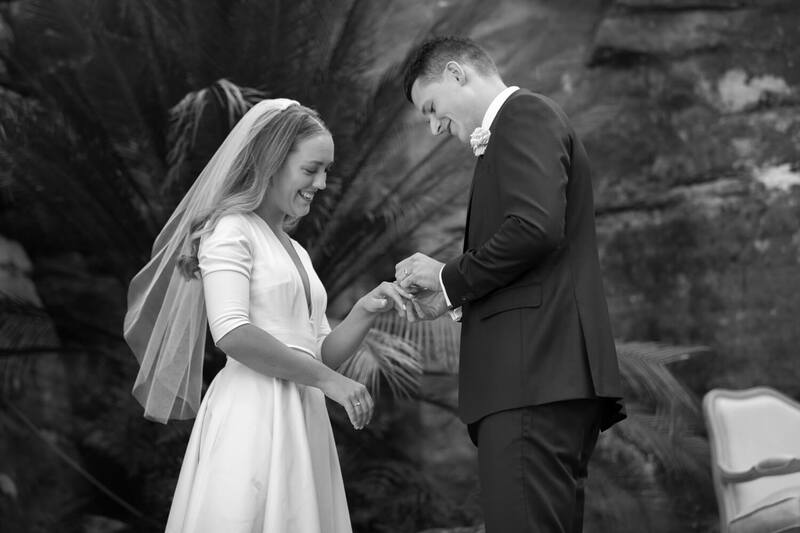 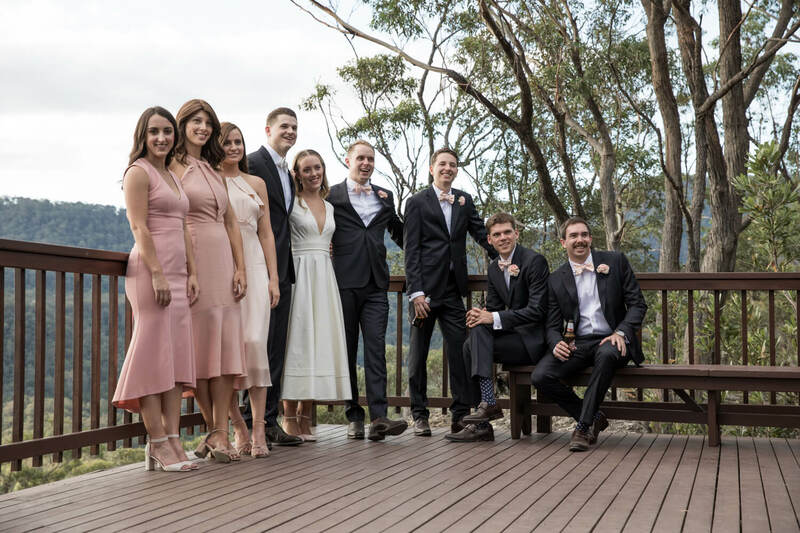 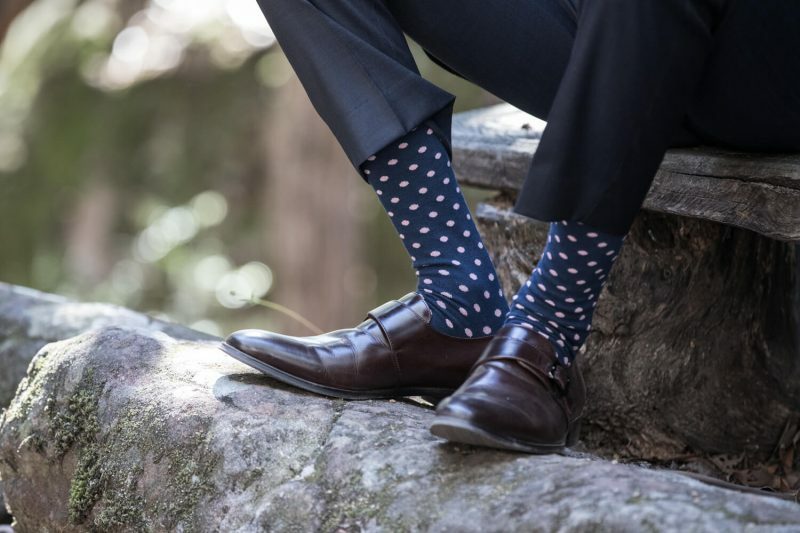 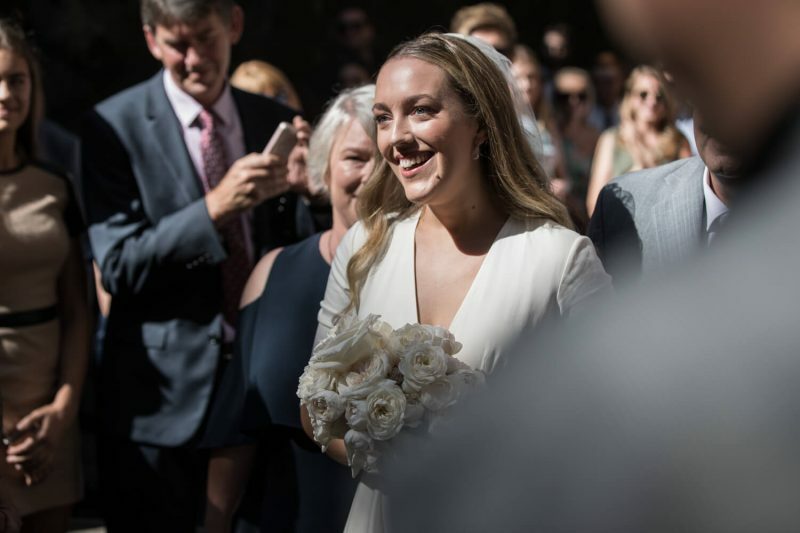 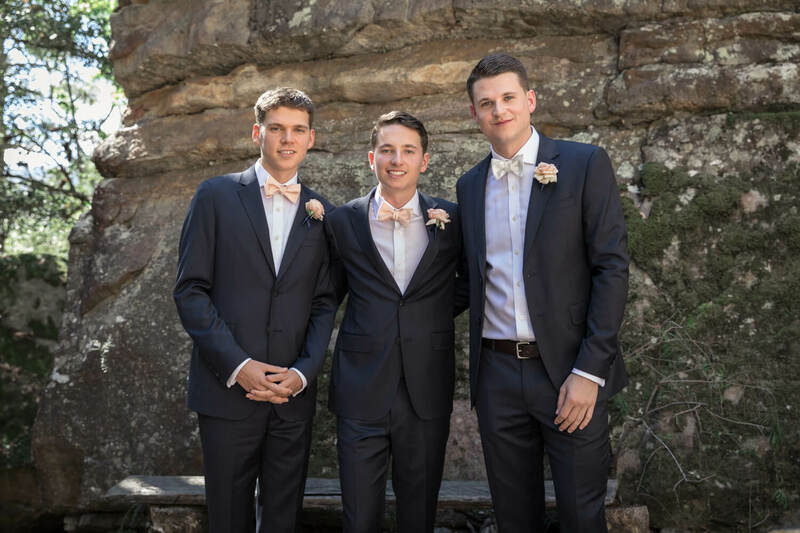 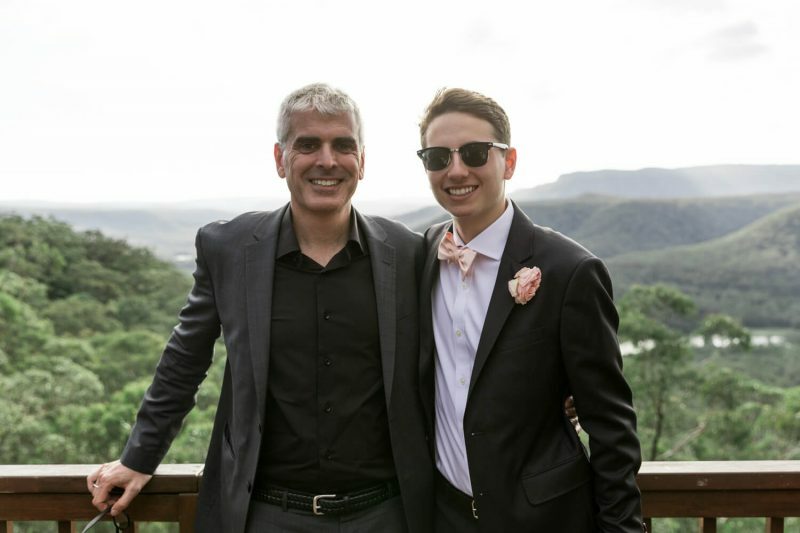 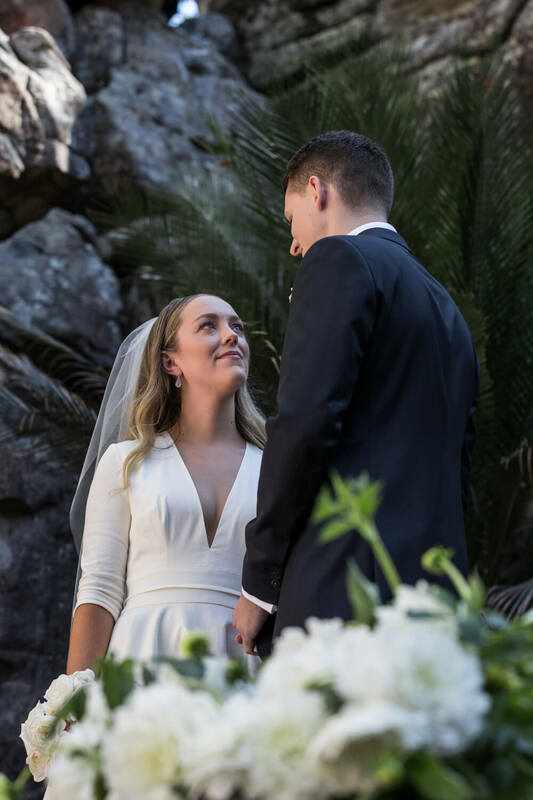 Atticus and Ellie's wedding which took place at the famous Kangaroo Valley Bush Retreat was no exception to that. 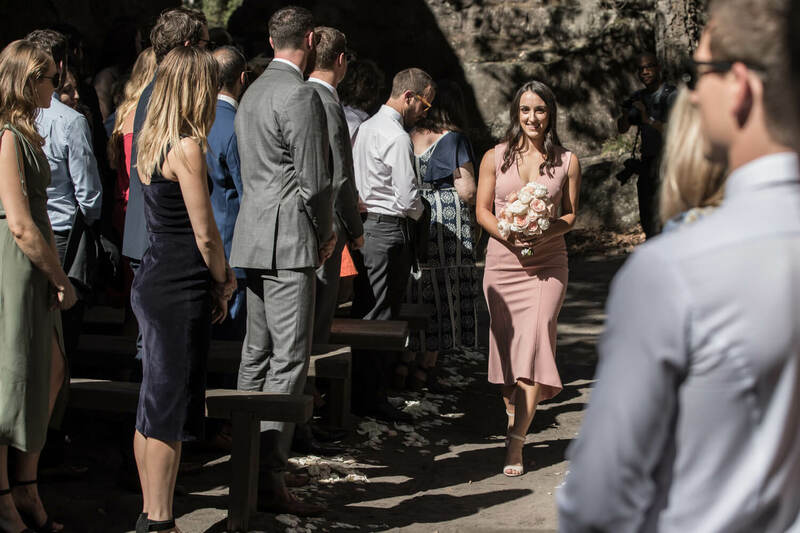 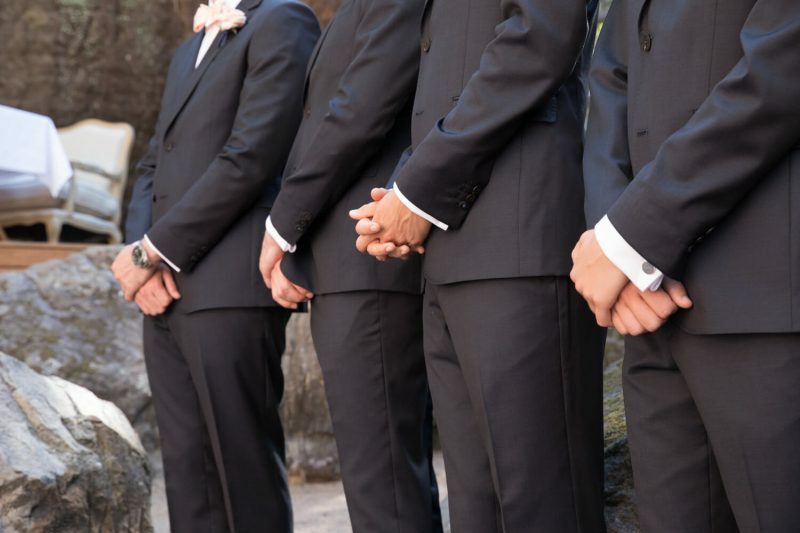 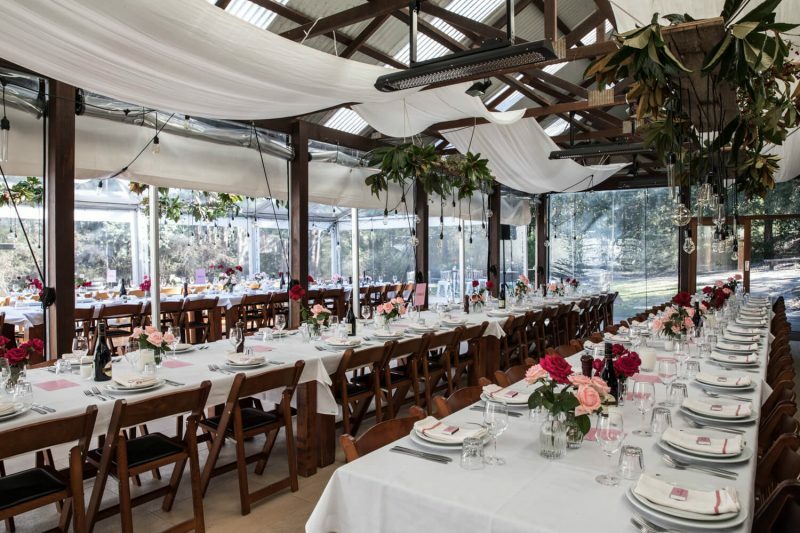 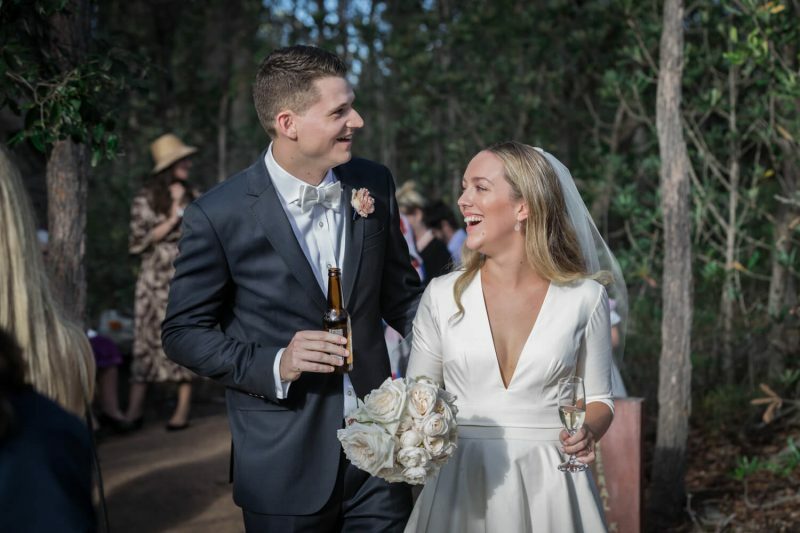 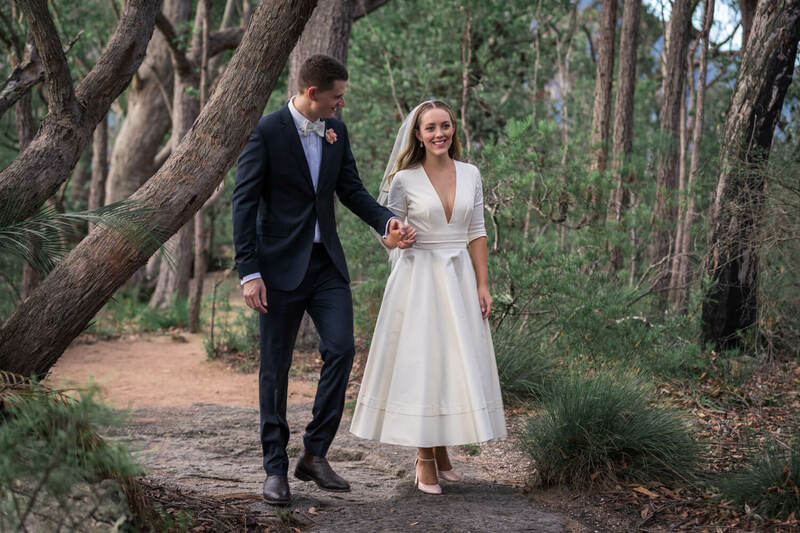 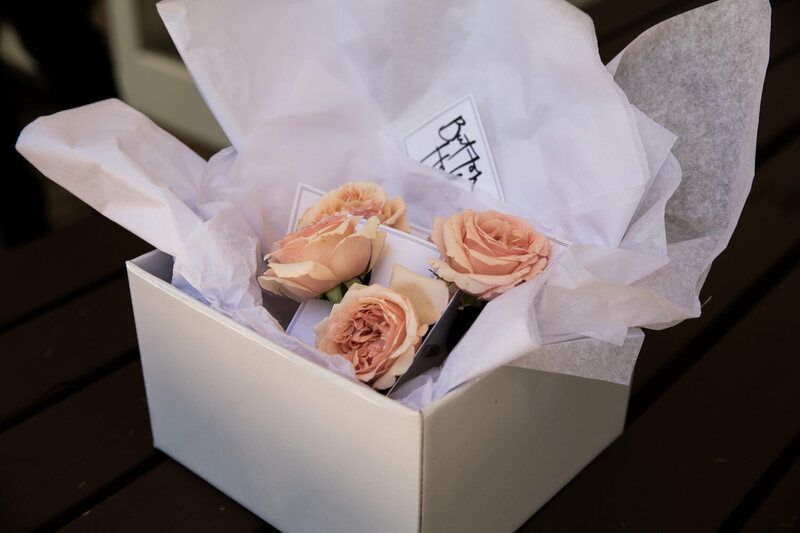 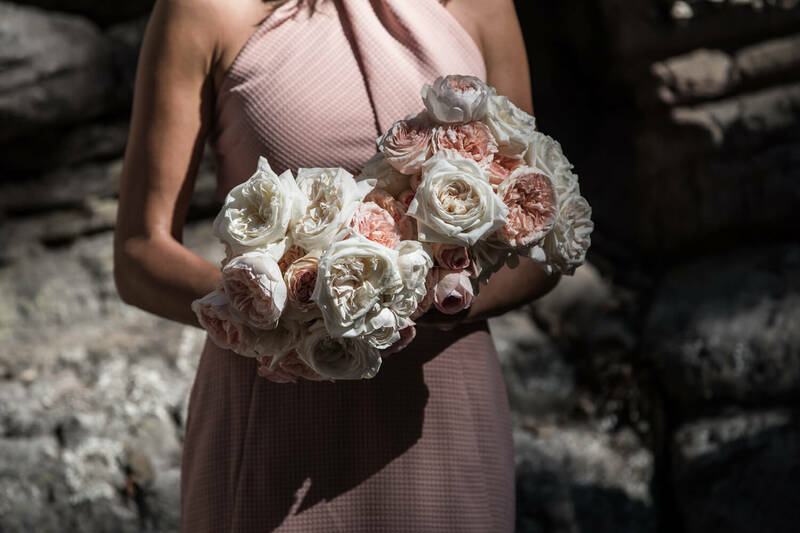 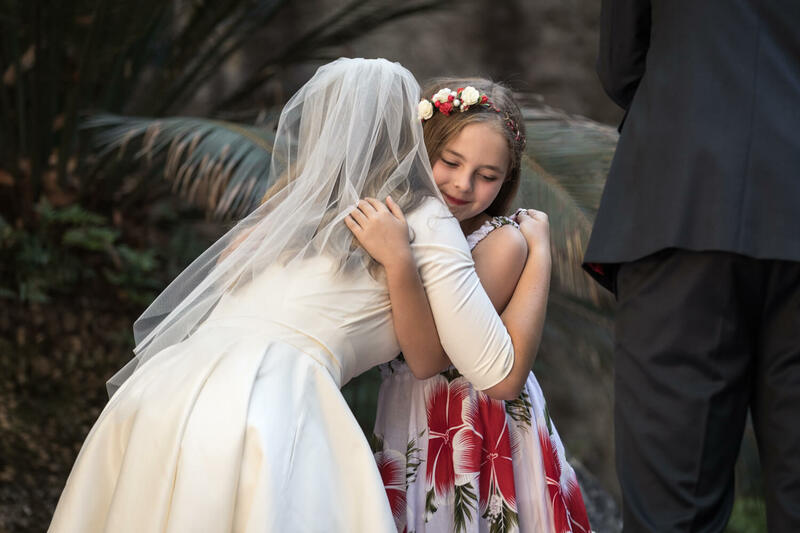 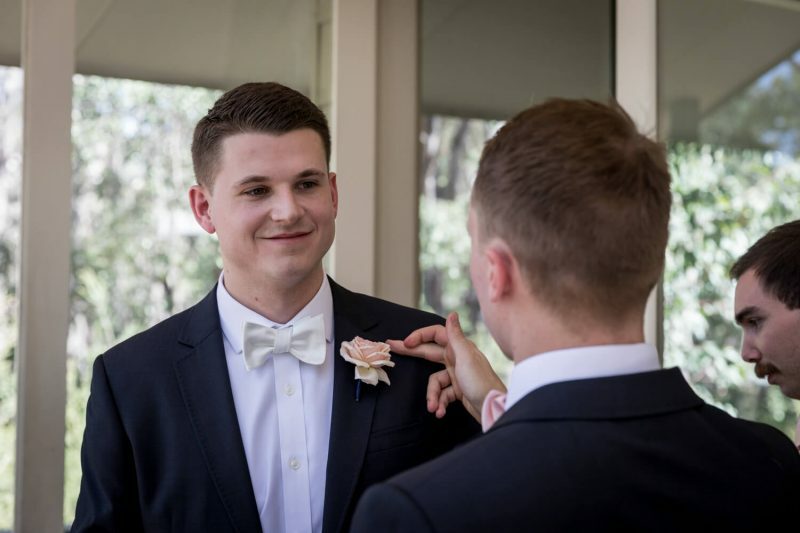 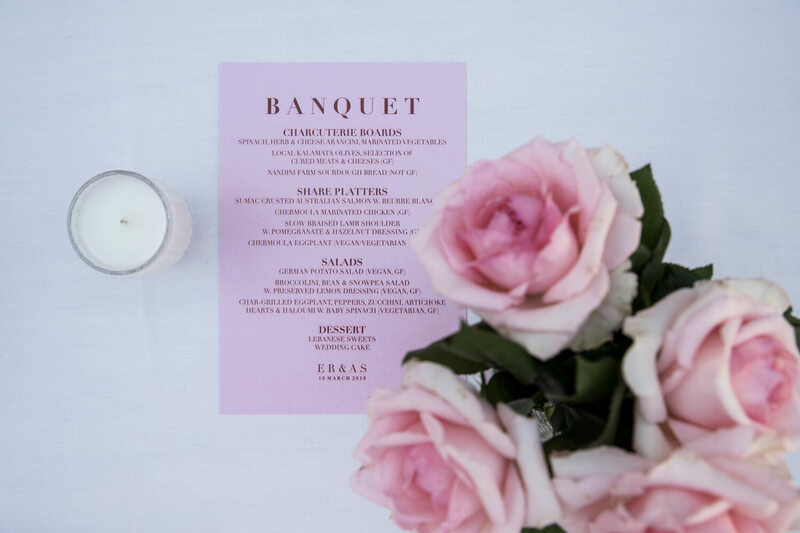 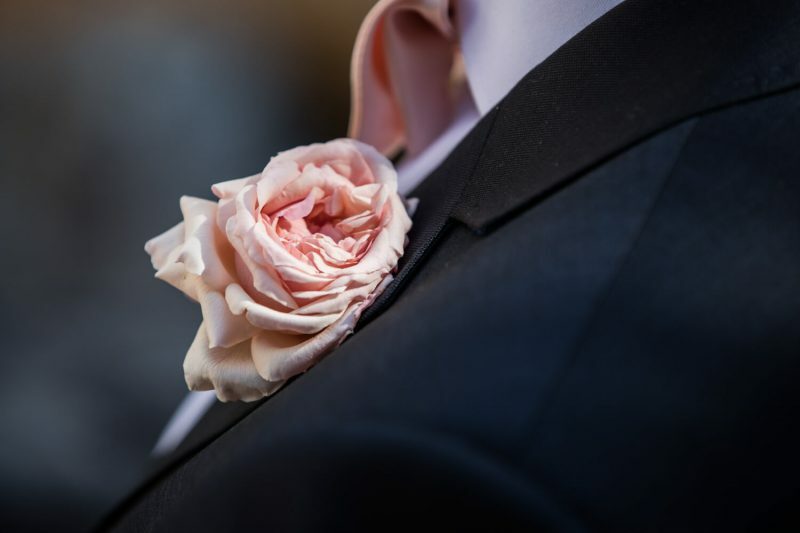 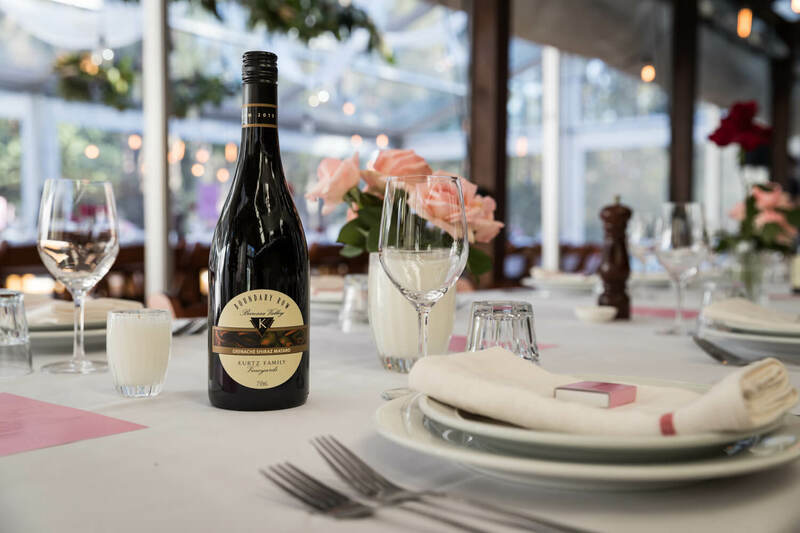 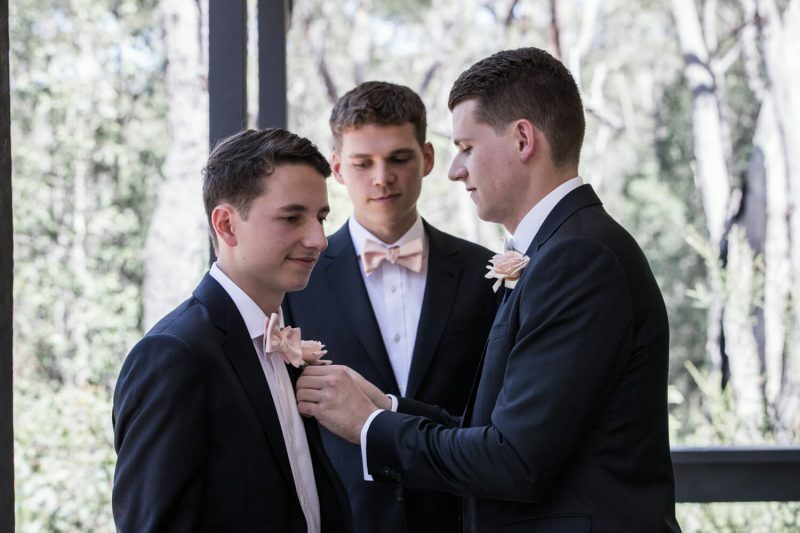 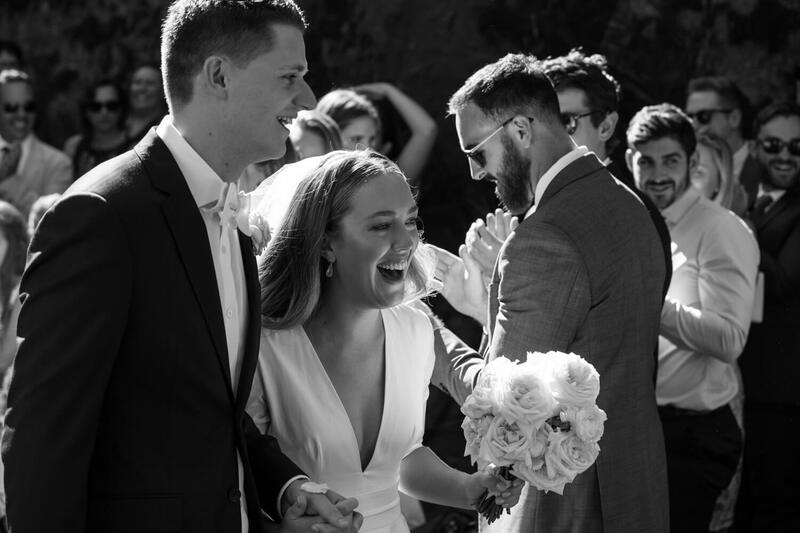 Kangaroo Valley Bush Retreat is renowned for playing host to some of the most spectacular weddings held within the valley. 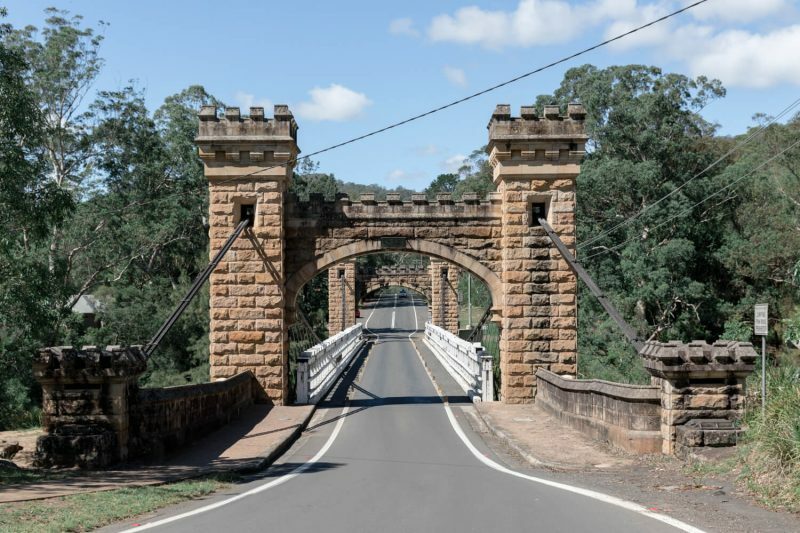 With a blue sky overhead and the open road laid out in front of me, I was on my way. 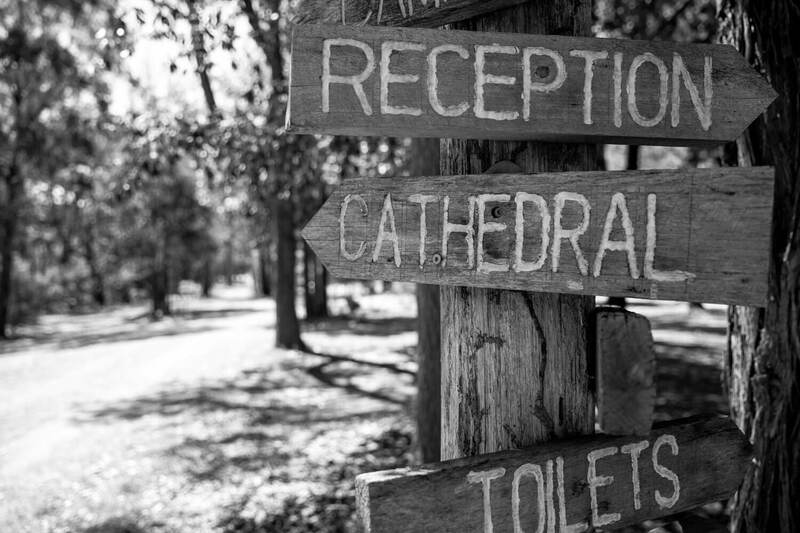 Upon arrival, I was greeted by one of those comical signs which had an arrow pointing in every direction. 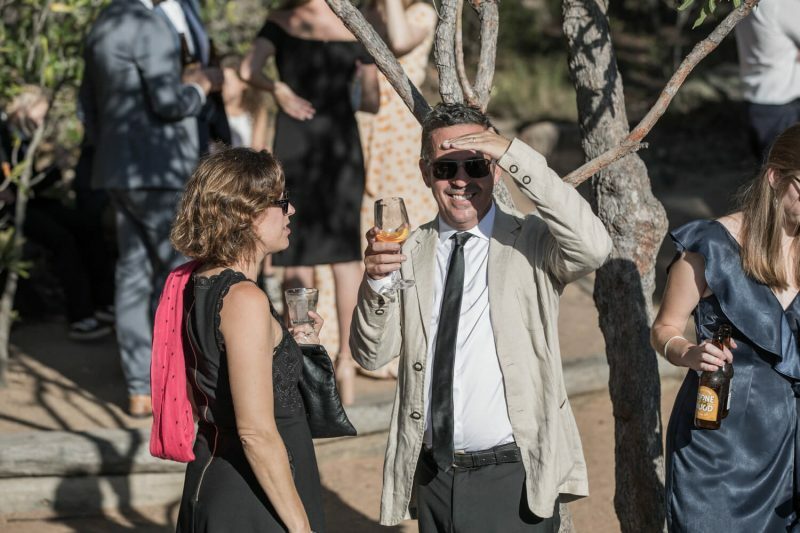 I did notice that one, in particular, was pointing toward the ceremony location. 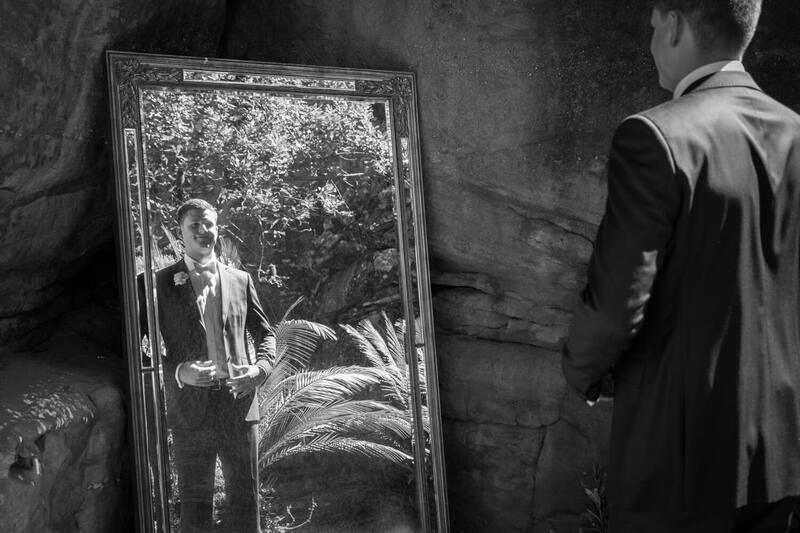 So before heading in to see the bride and groom I quickly ducked off to check out how everything was looking. 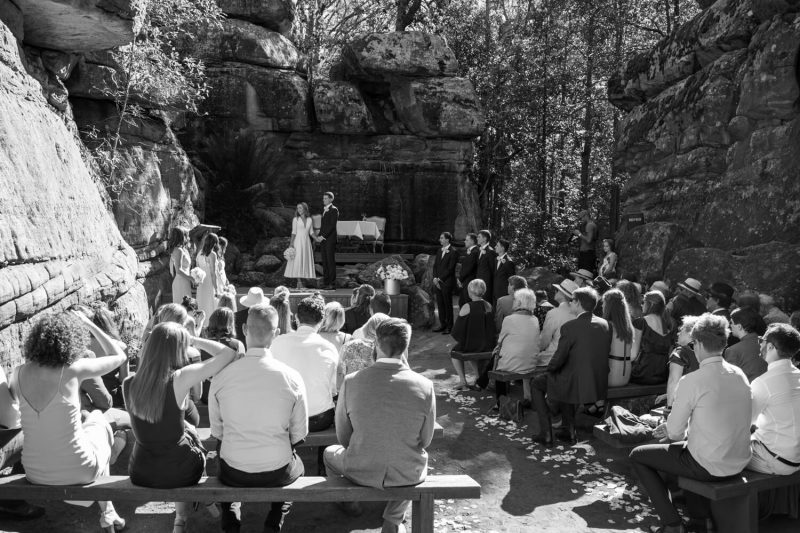 It also made for a good opportunity to get a shot of the amphitheatre while it was still empty. 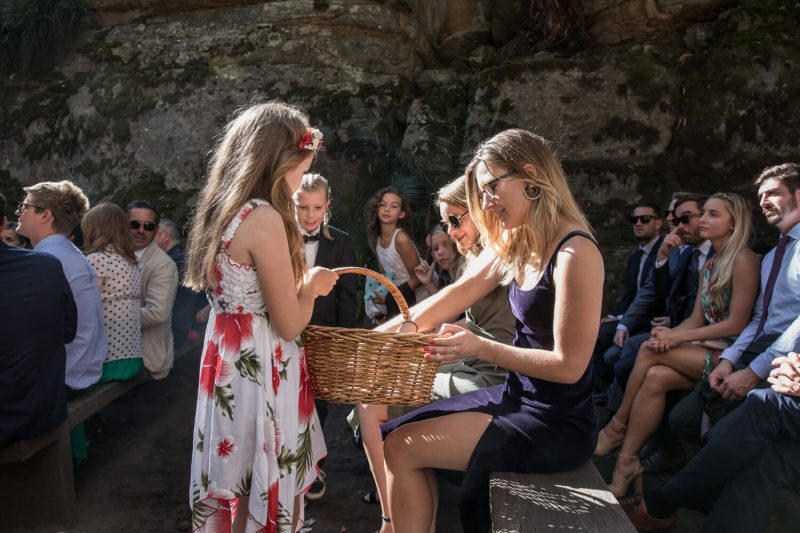 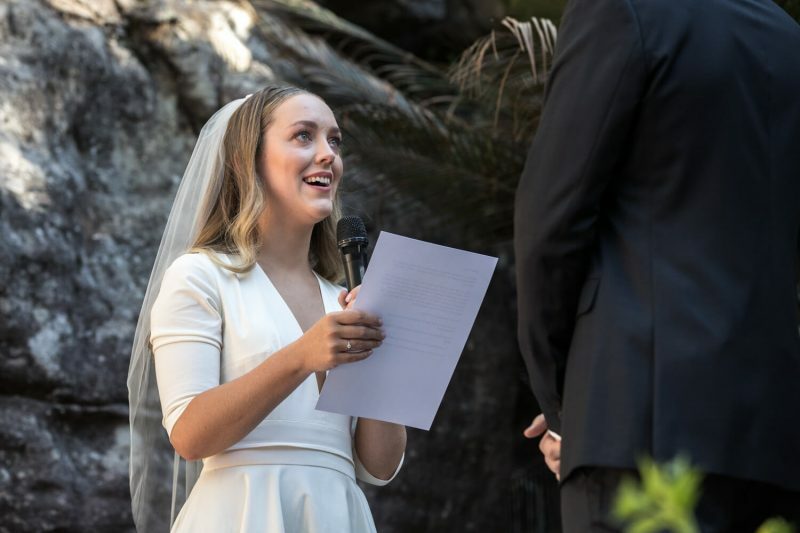 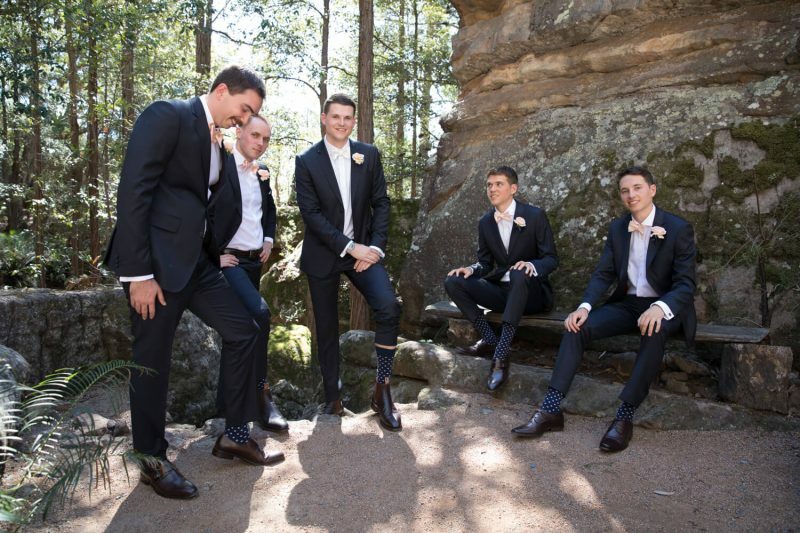 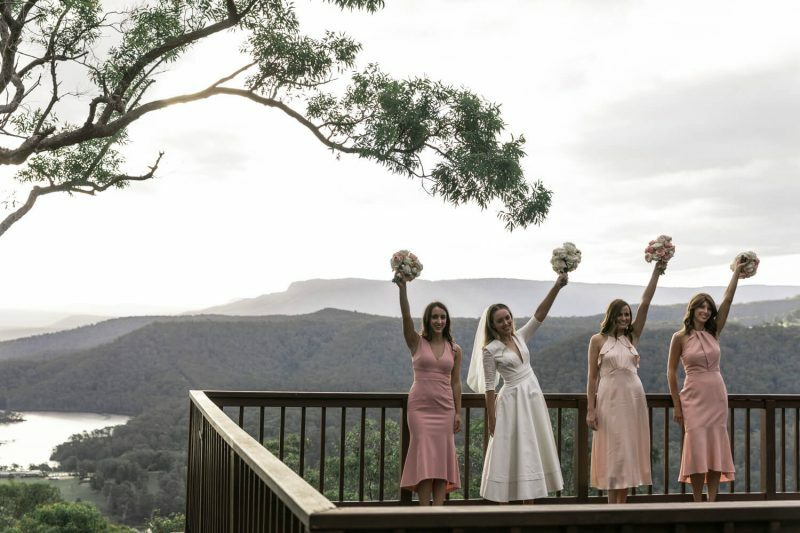 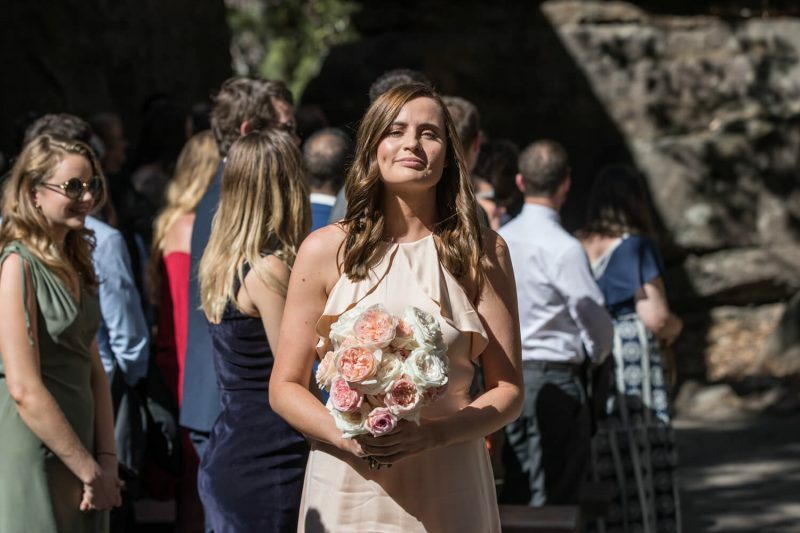 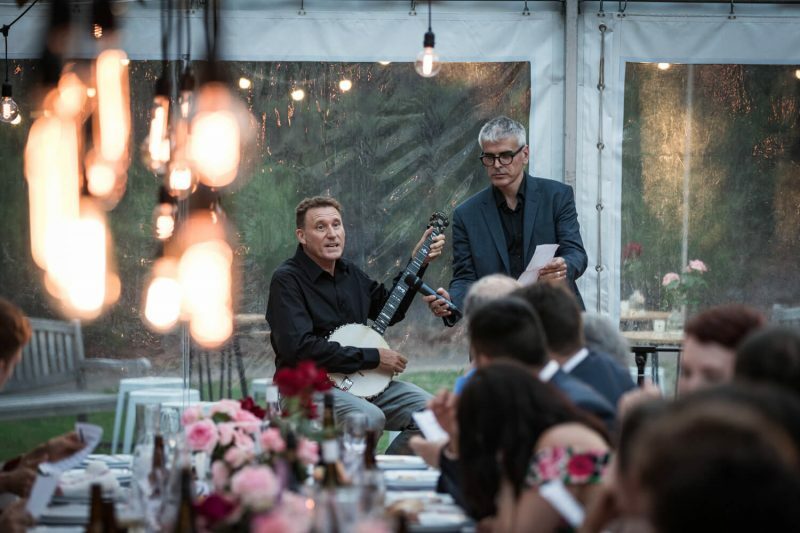 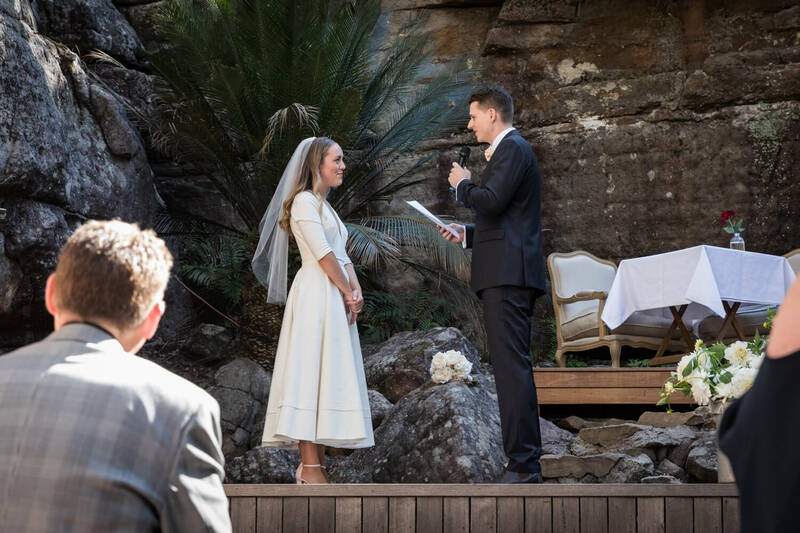 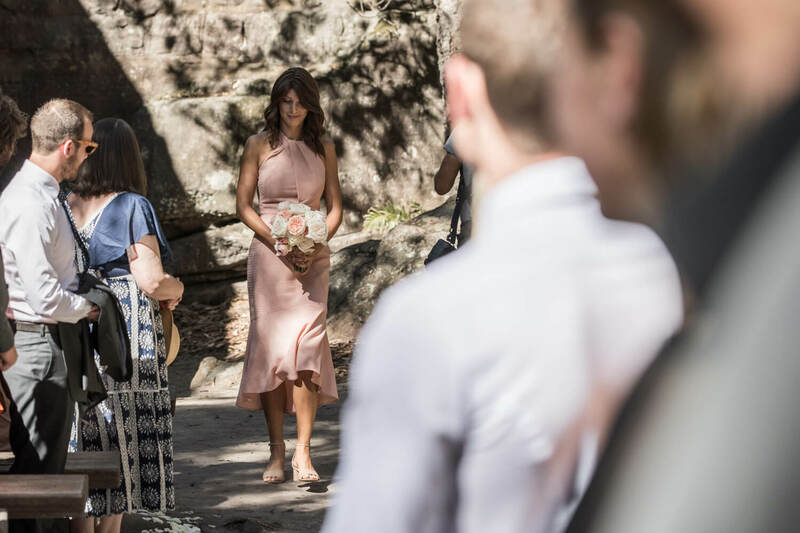 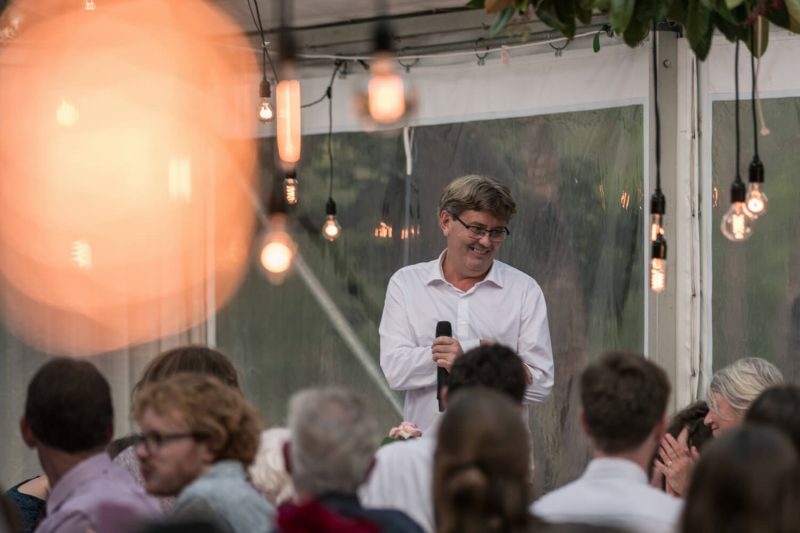 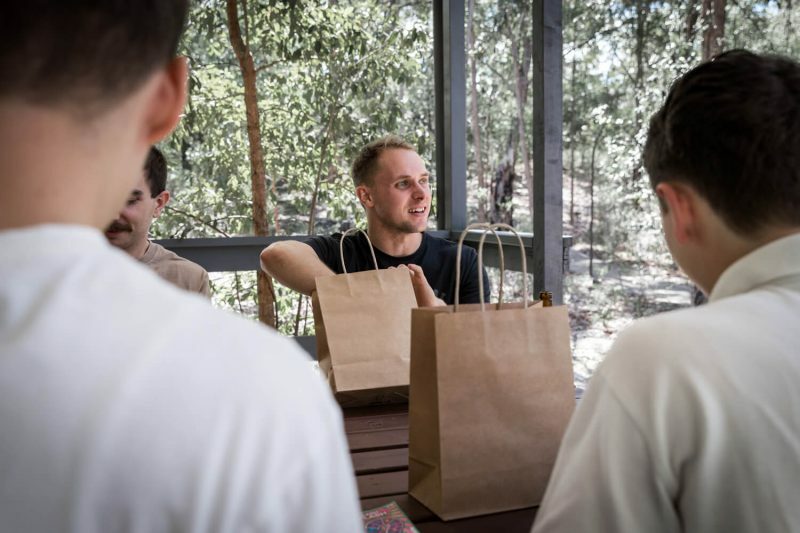 For those that don't know, holding a Kangaroo Valley wedding at the bush retreat means you get to utilise their famous natural rock cathedral. 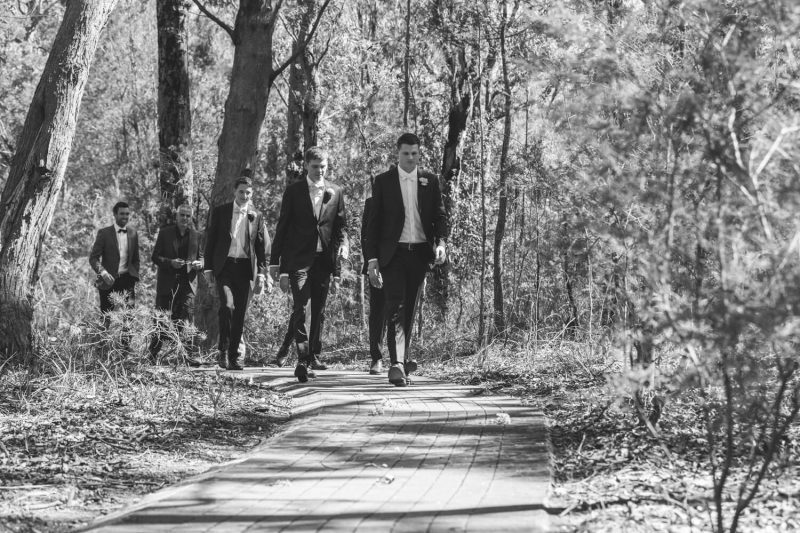 Its quite unique which is why it would have to be one of my favourite ceremony locations to shoot. 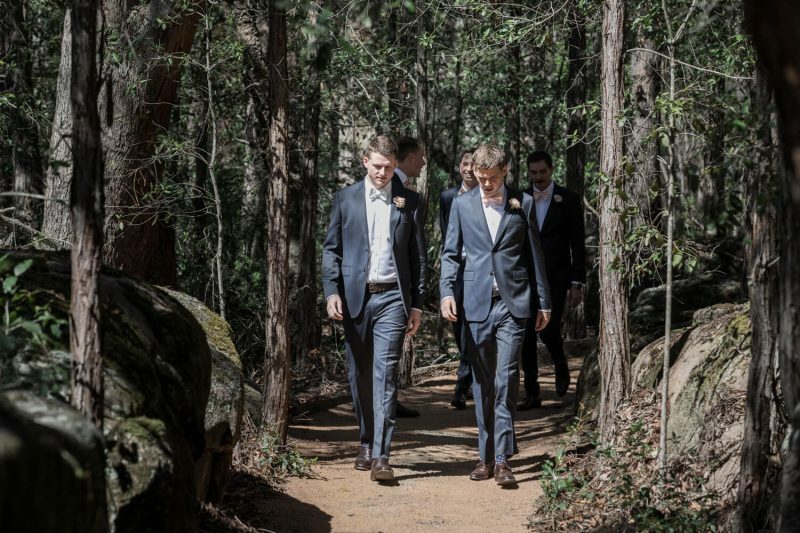 A narrow gravel path guides you down through the rocks and forest until you meet an area which has been etched into the side of the hill. 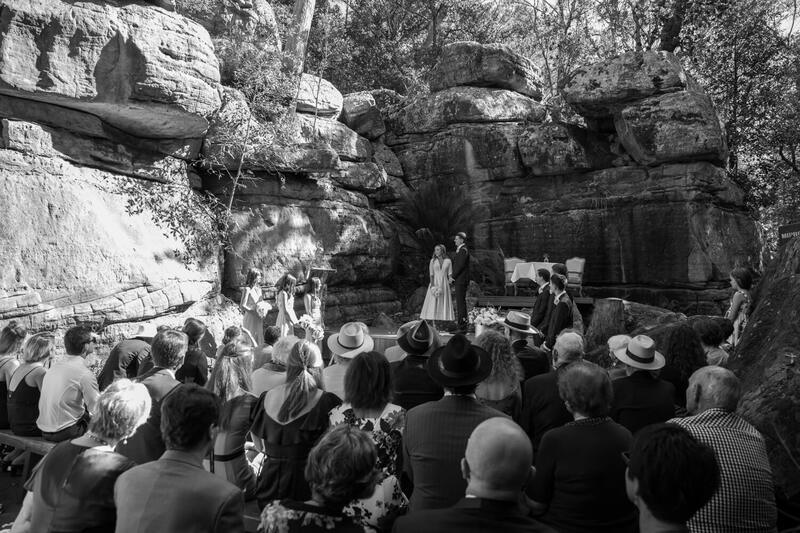 Giant rock walls stretch up each side of the amphitheatre, hugging the intimate space. 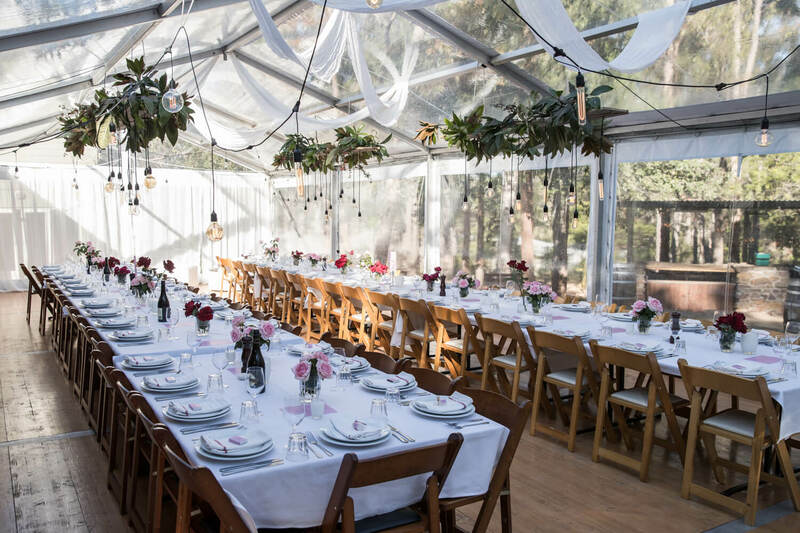 A stage area and multiple bench seats have been created to accommodate the guests and bridal party. This makes it the perfect setting to tie the knot. Back up at the onsite accommodation, Ellie and Atticus began to get ready for the events that would flow. 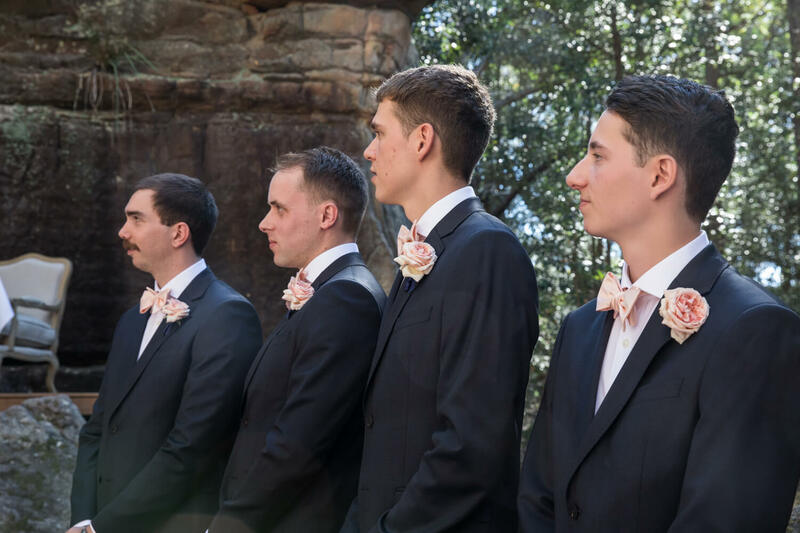 Once they were dressed, the respective bridal parties gave the bride and groom a quick once-over before escorting them to the cathedral. 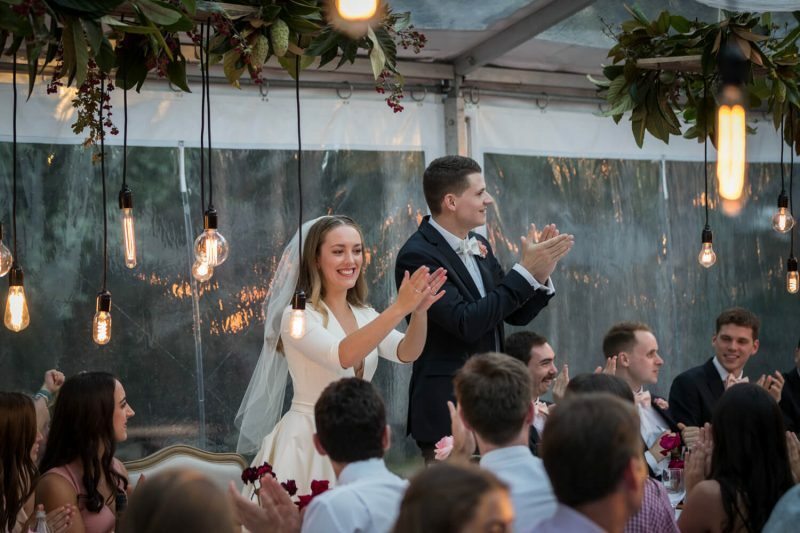 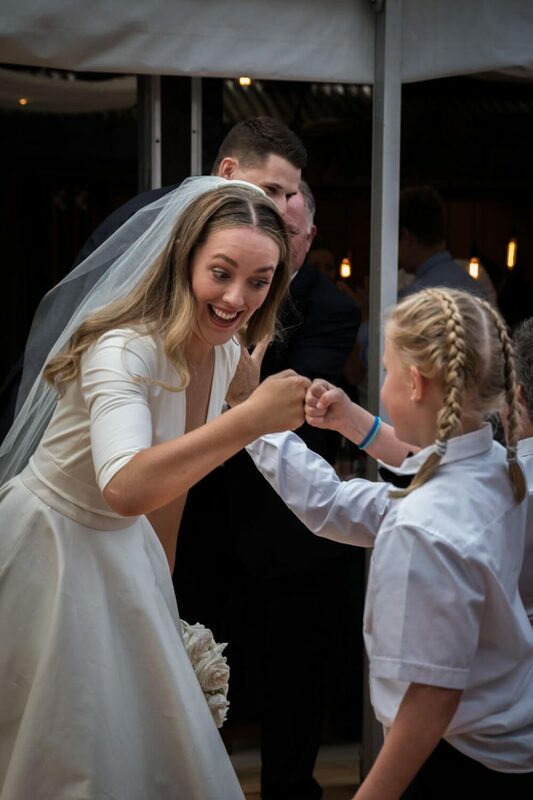 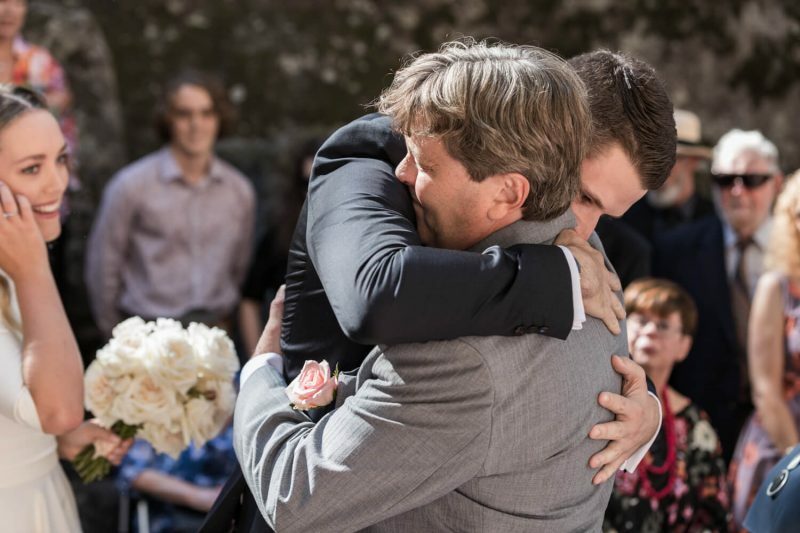 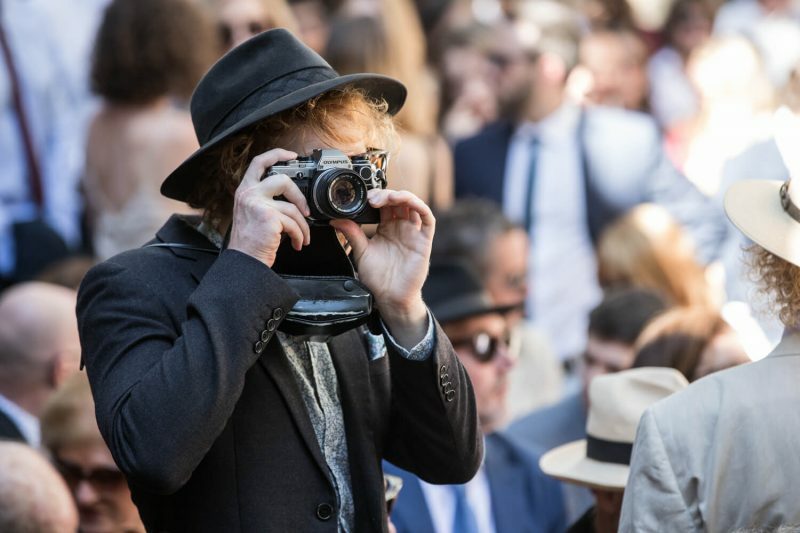 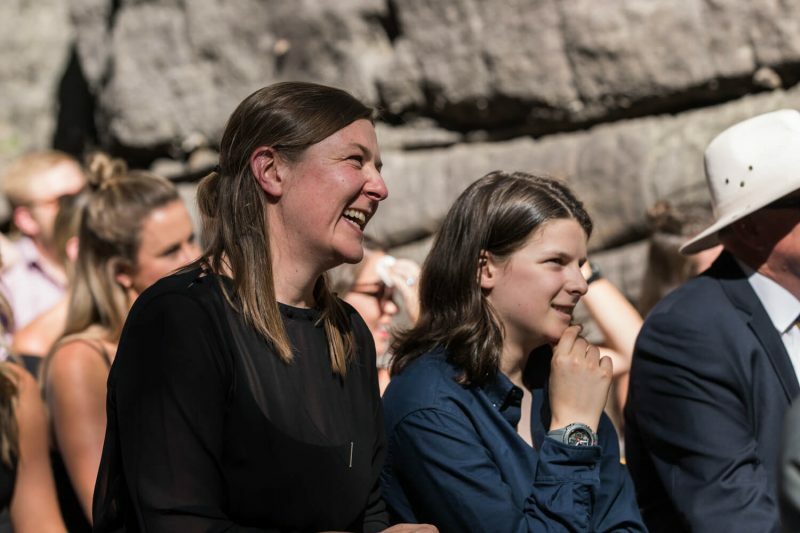 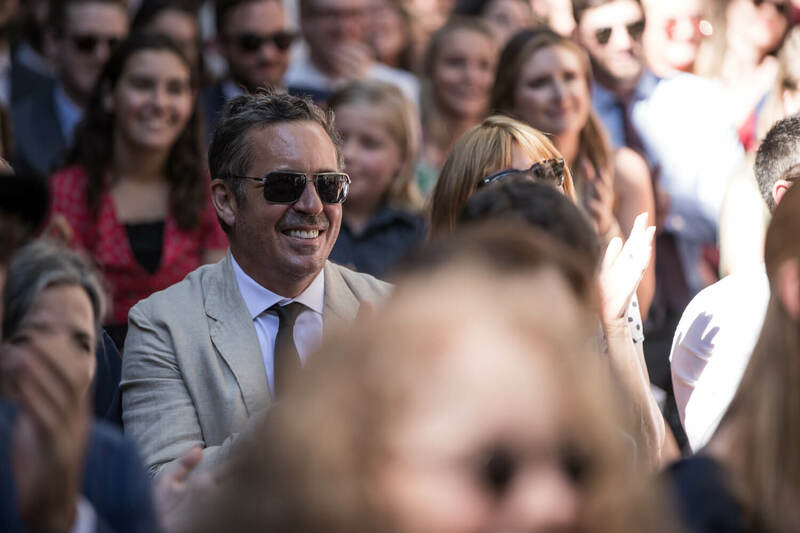 As the guests began to gather and the crowd began to grow it was easy to see that Ellie and Atticus were both surrounded by people who loved and supported them. 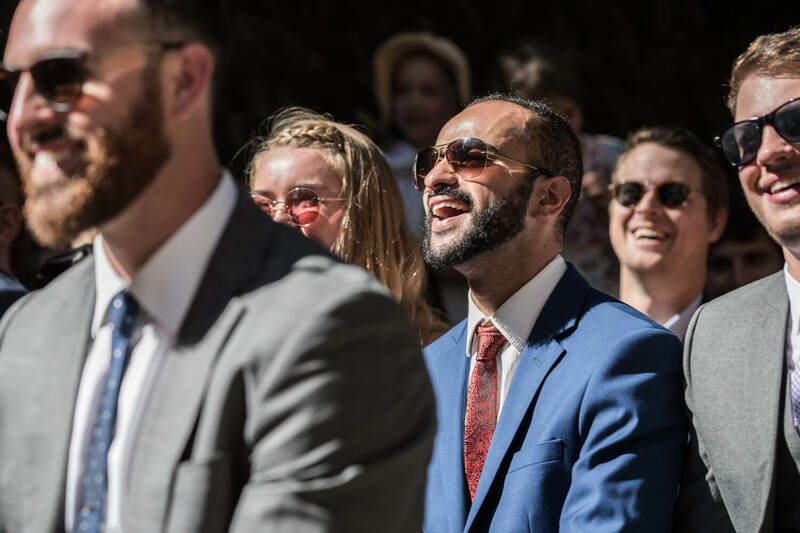 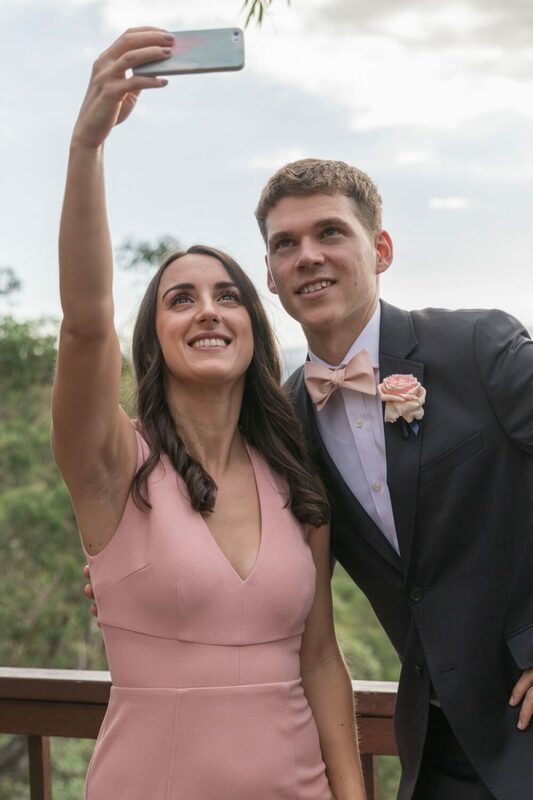 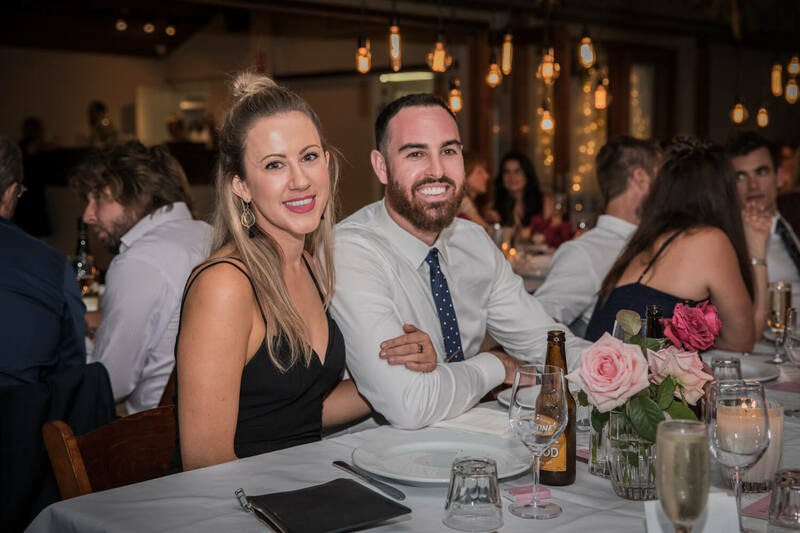 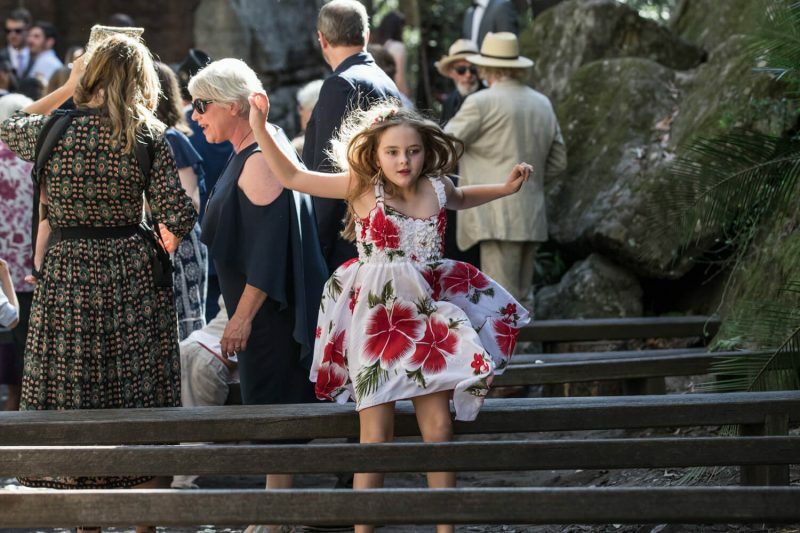 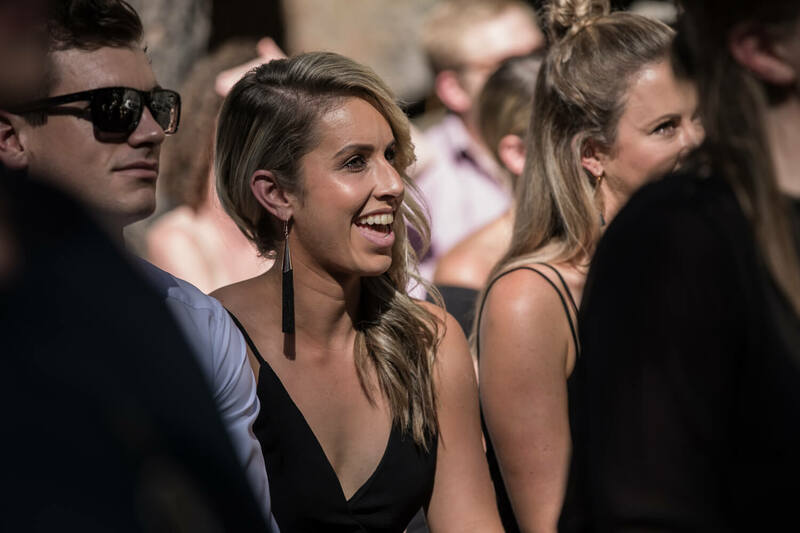 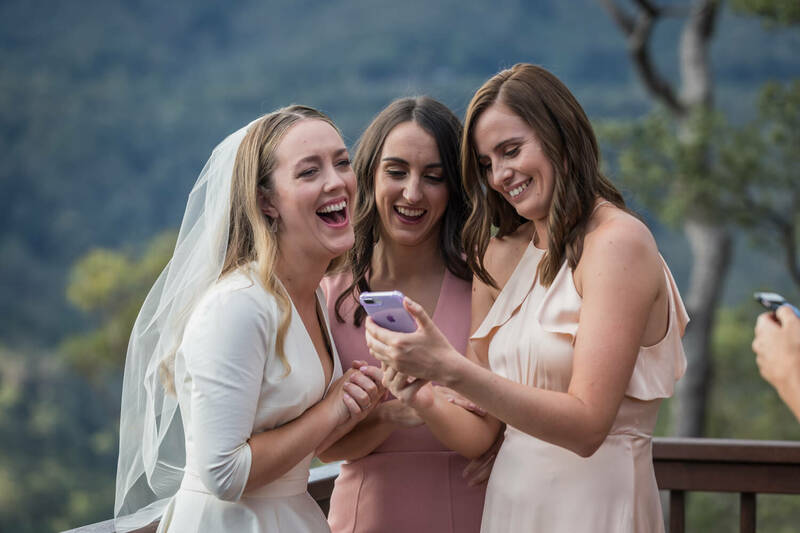 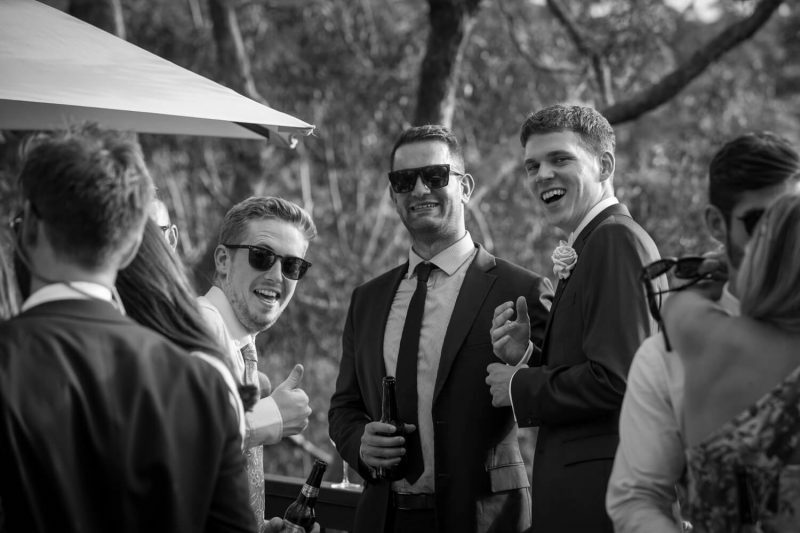 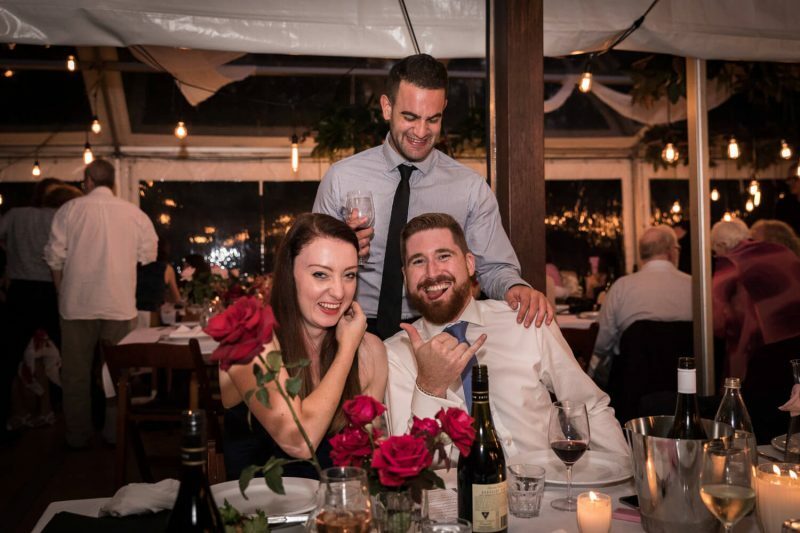 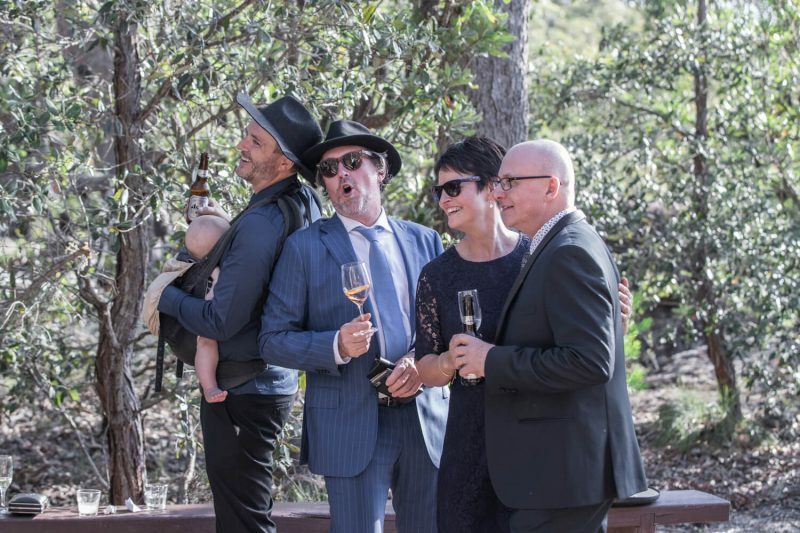 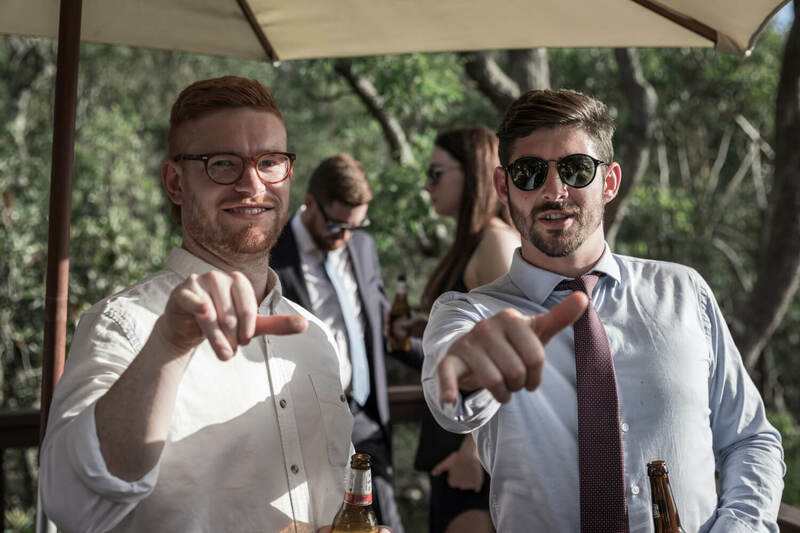 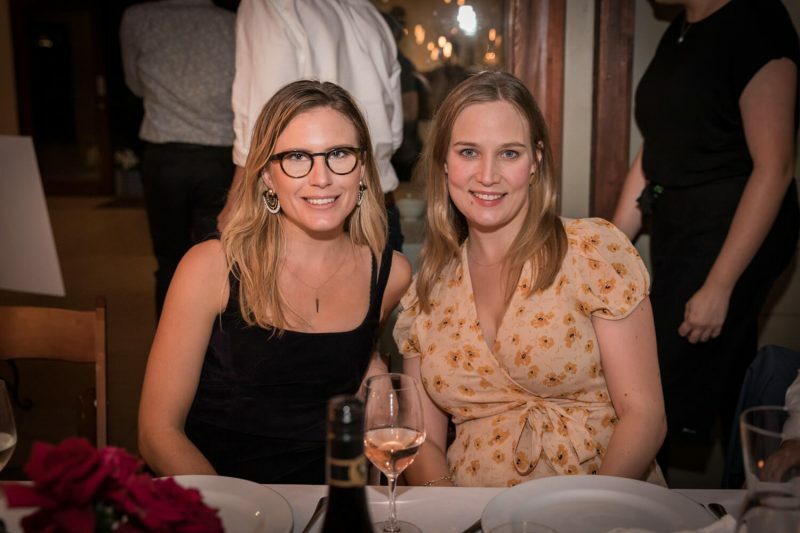 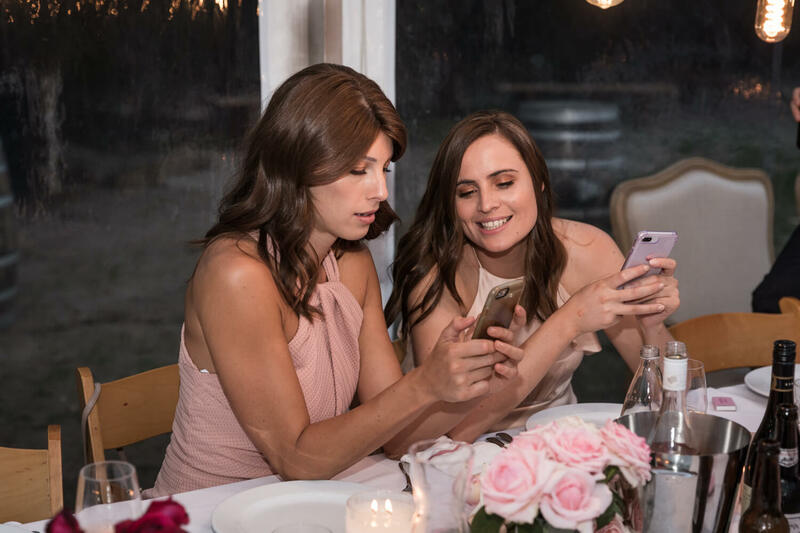 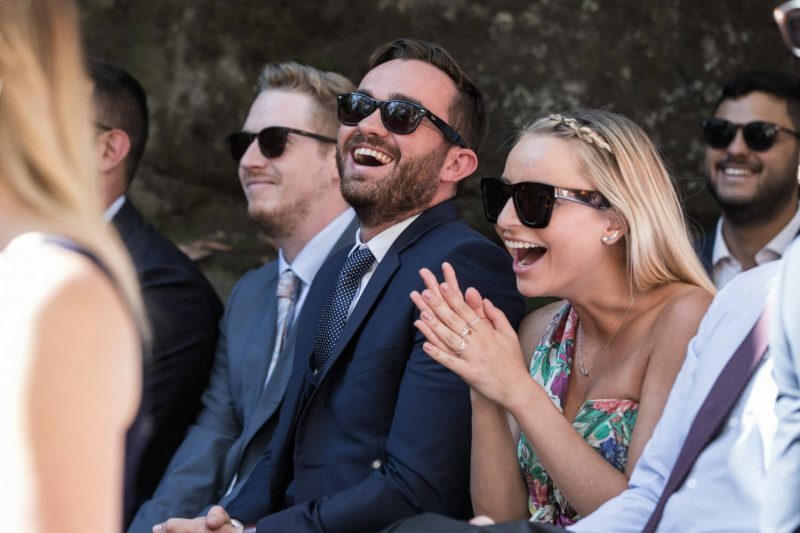 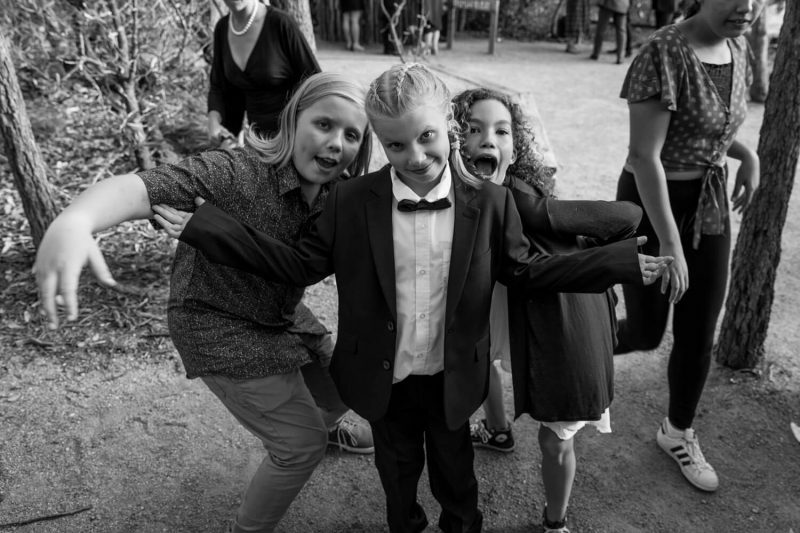 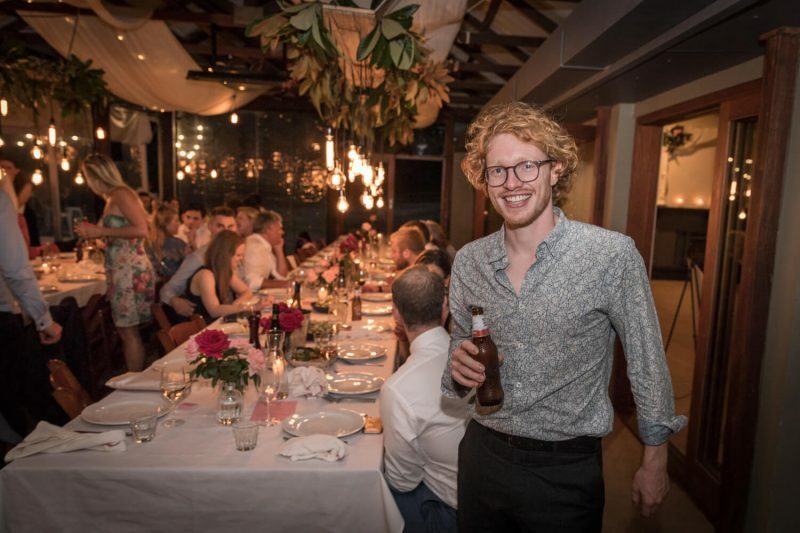 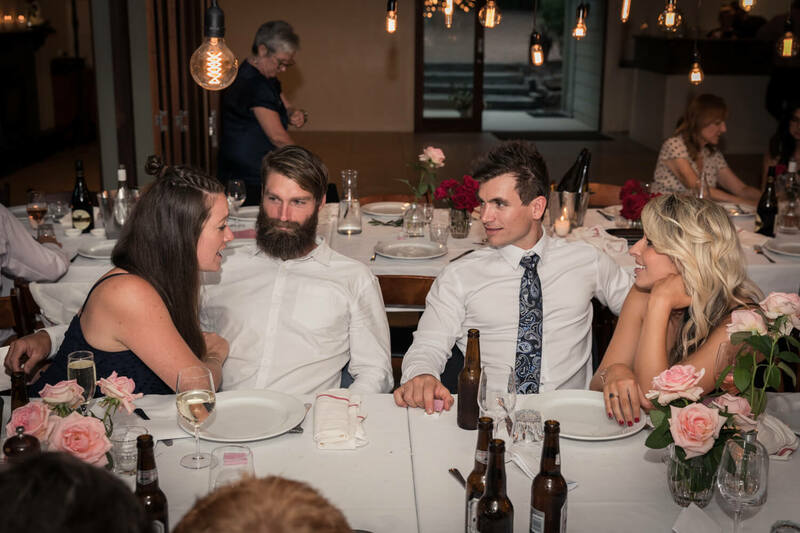 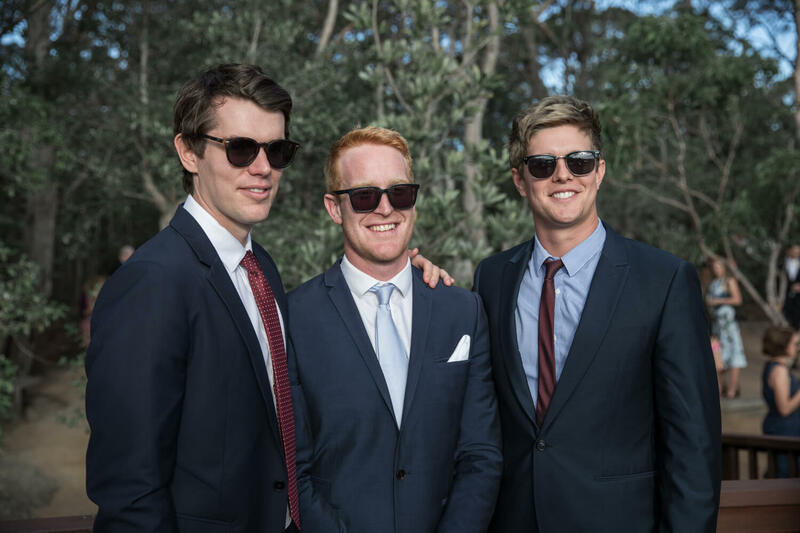 Everyone looked to be having a great time at their Kangaroo Valley wedding. 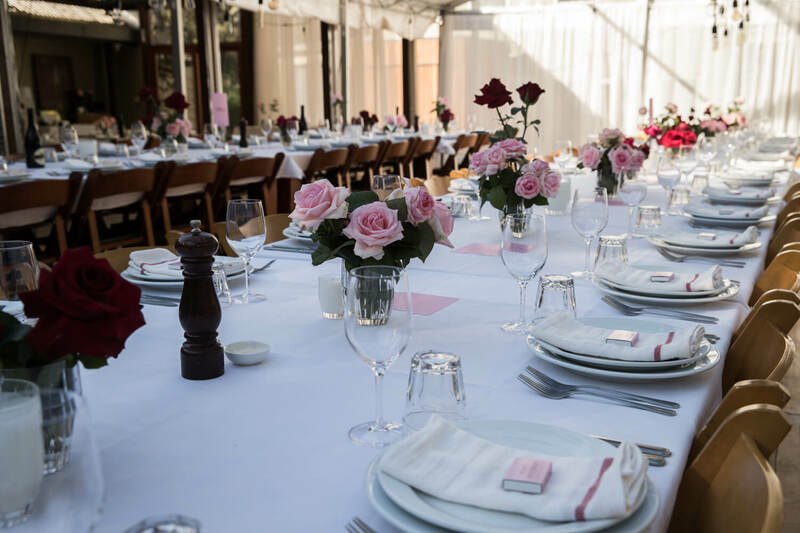 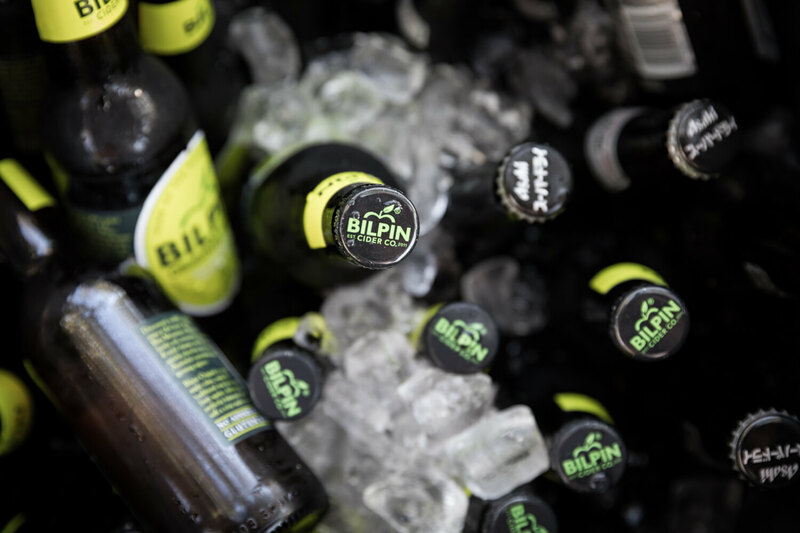 Guests chatted and laughed as they soaked in the suns rays and the atmosphere of the special occasion. 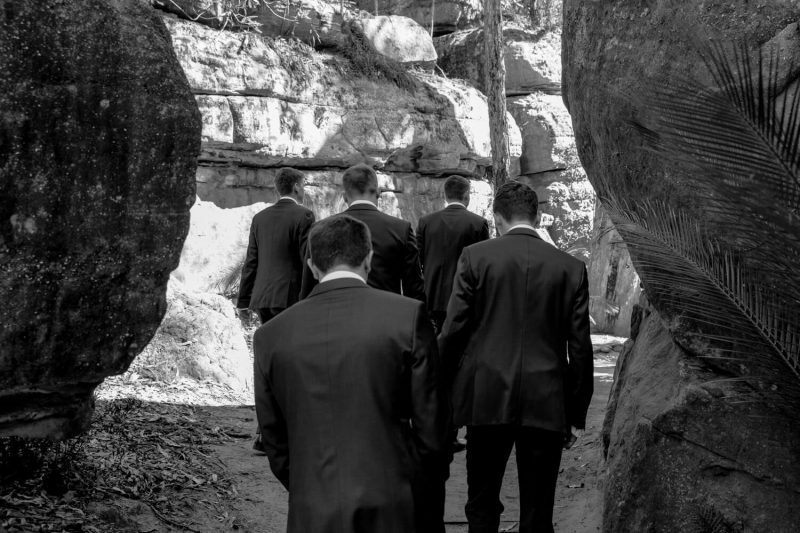 Soon after Atticus took his position Ellie and her bridesmaids began to make their way down the aisle. 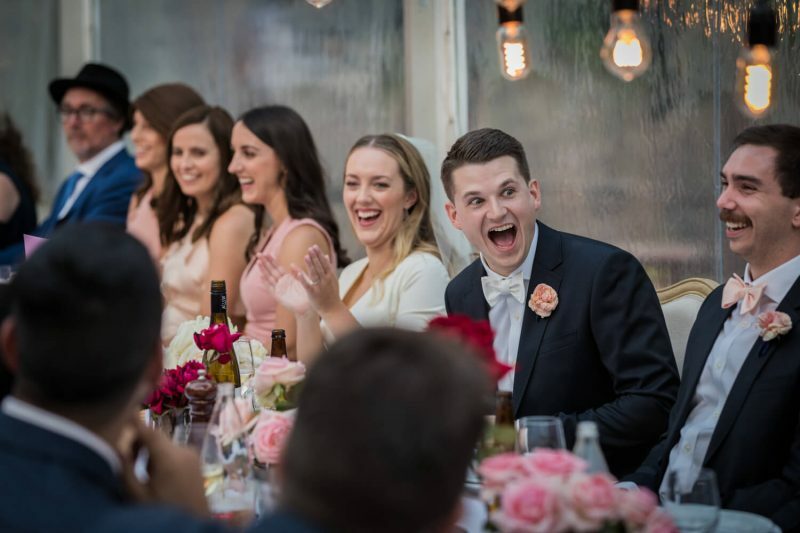 One moment I always document is the groom's reaction when he first catches a glimpse of his bride. It goes without saying that Atticus's reaction was one of my favourites. 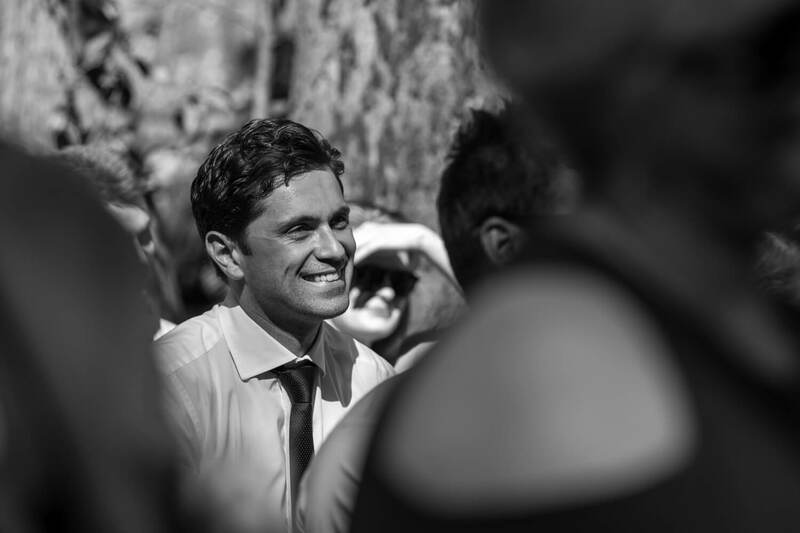 It was obvious that he was happy beyond belief as emotion overcame him. 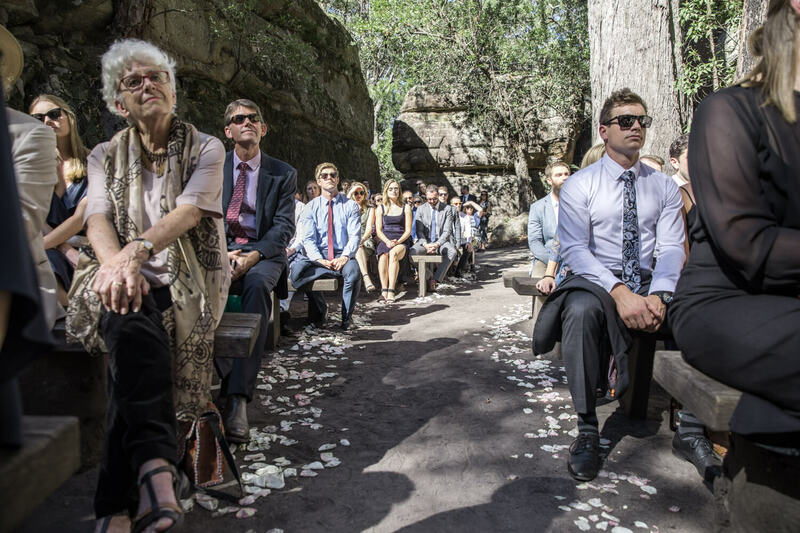 Following the ceremony, it was time to make our way up to the viewing platform. 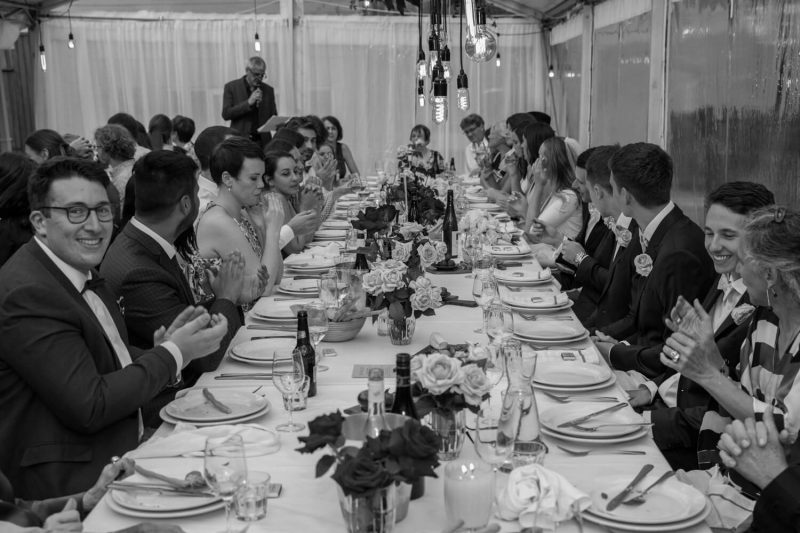 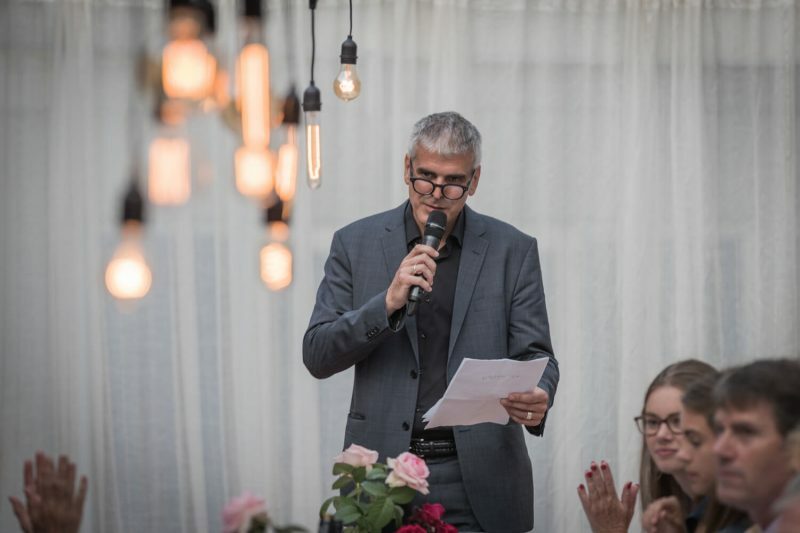 Here, guests were able to take full advantage of cocktails, canapes and the view. 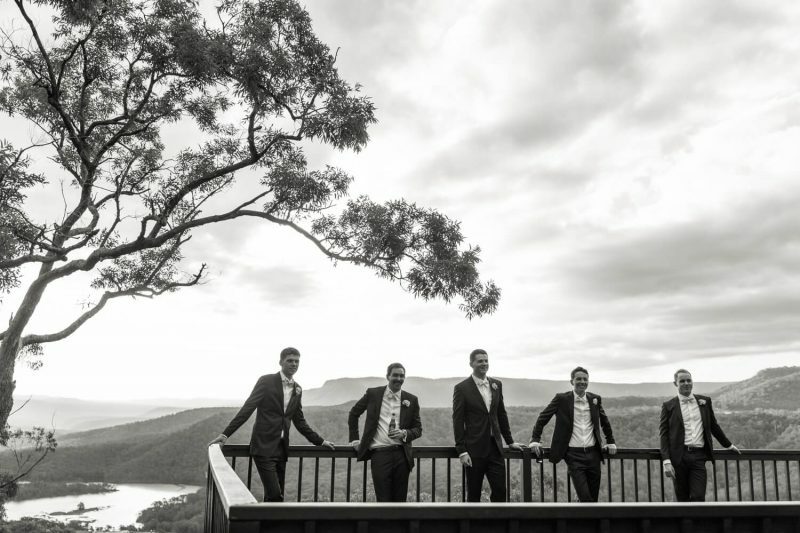 For a few intimate Kangaroo Valley wedding photos, we ducted off to the side of the viewing platform. 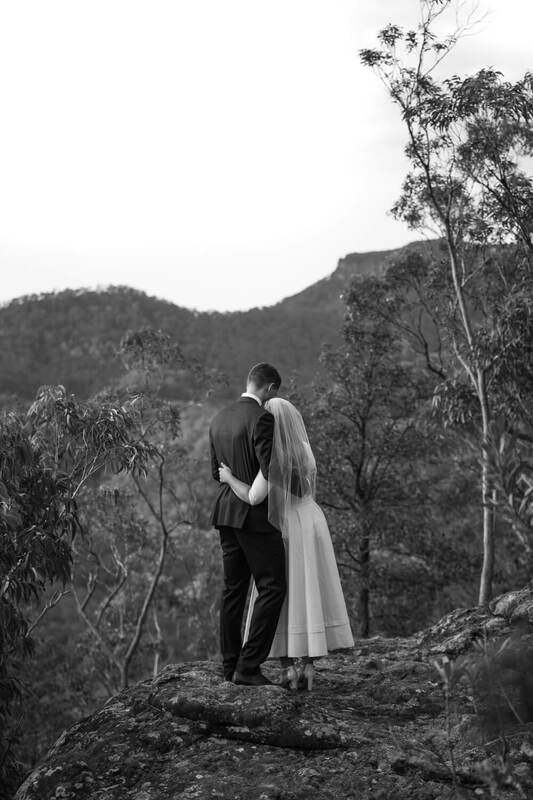 We wanted to move away from the man-made platform and utilise some natural rocks which overlooked the entire valley. 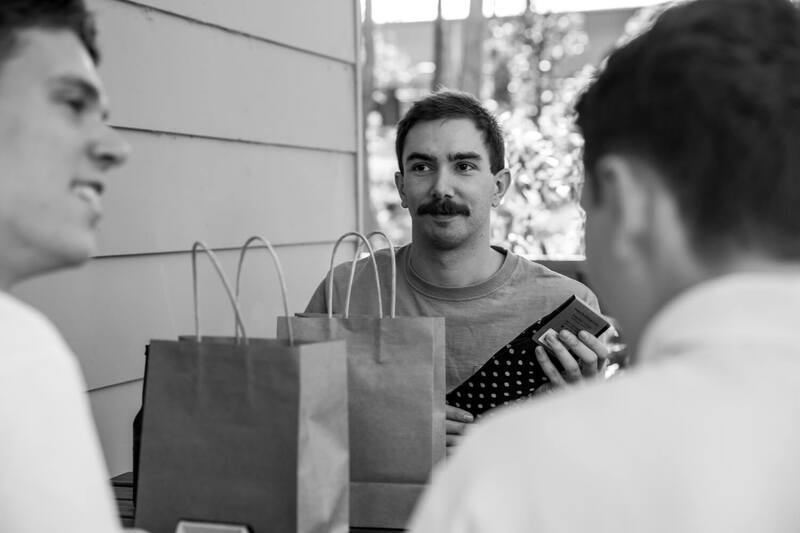 The results were quite impressive as you will see below. 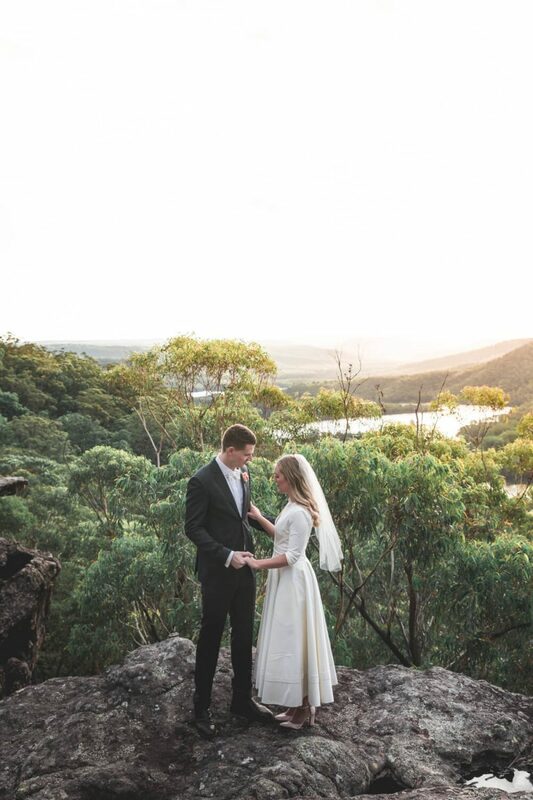 With a setting sun and fading light, it was time to start the reception. 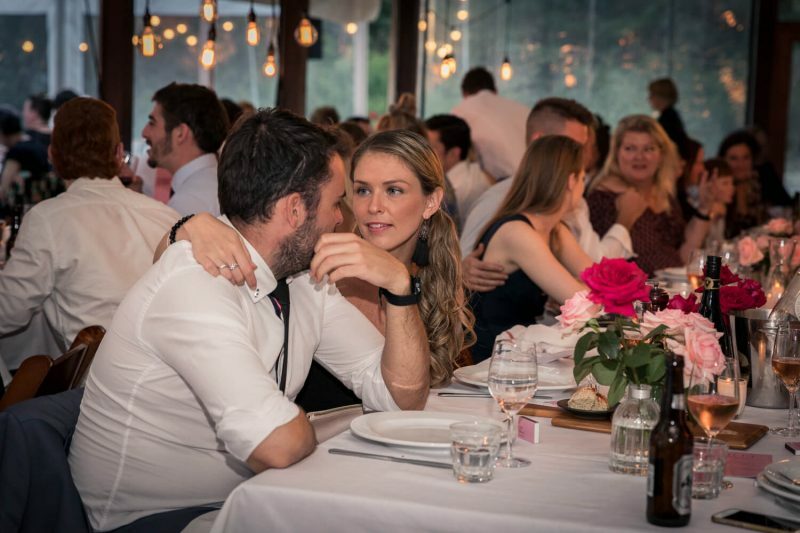 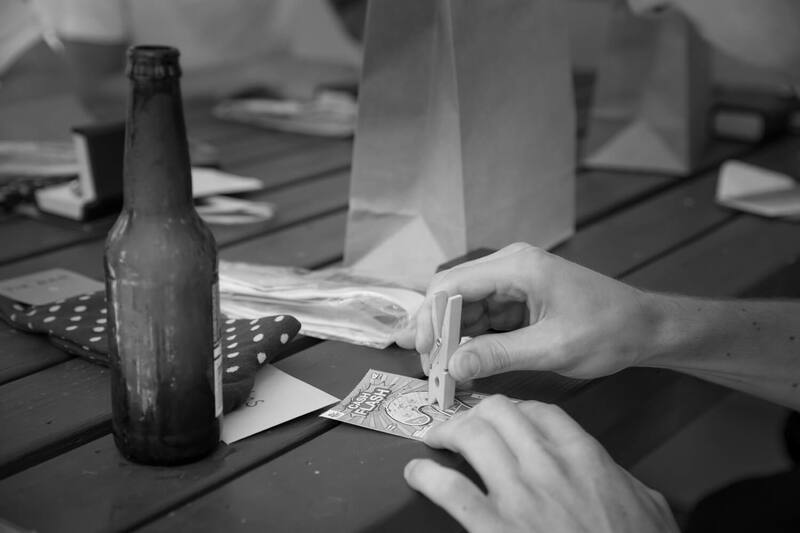 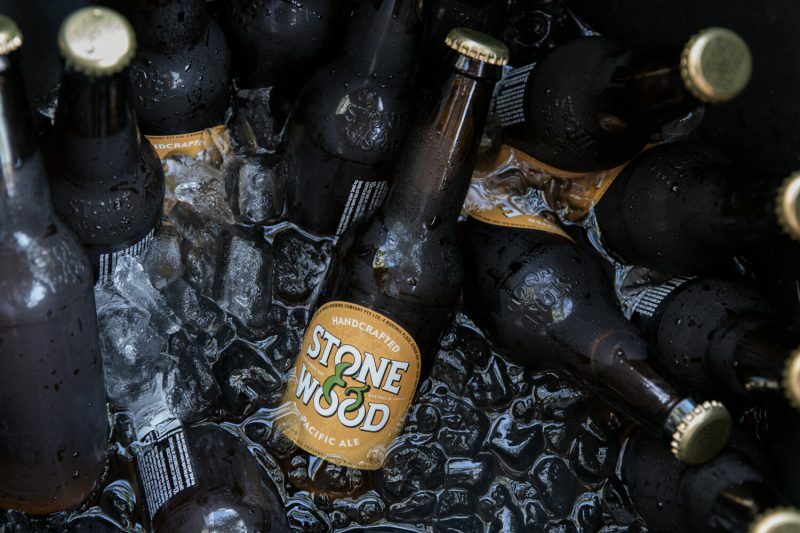 The rest of the night unfolded as any Kangaroo Valley wedding would. 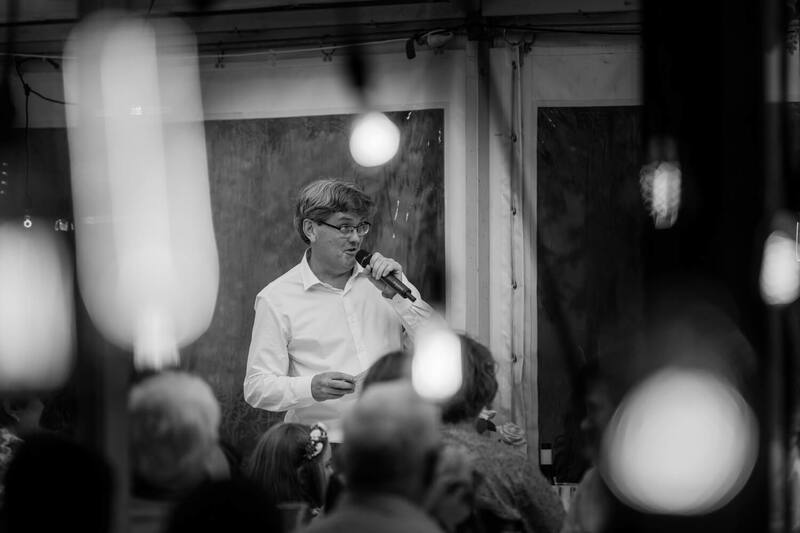 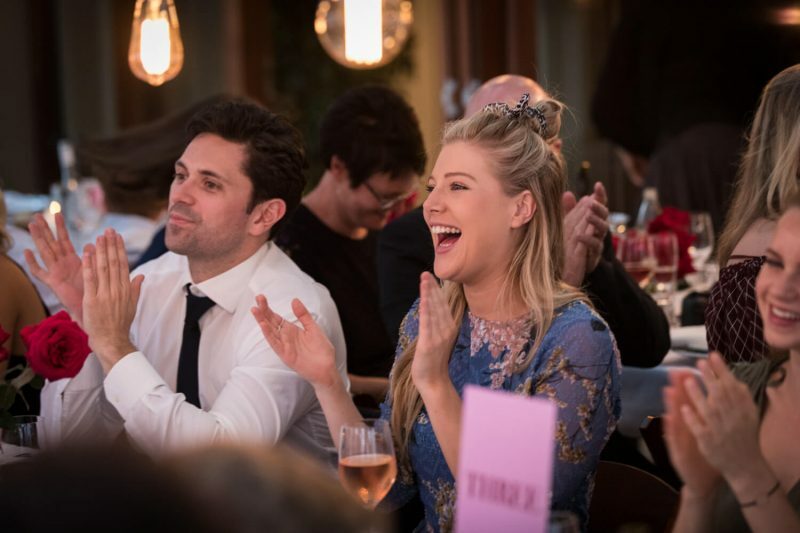 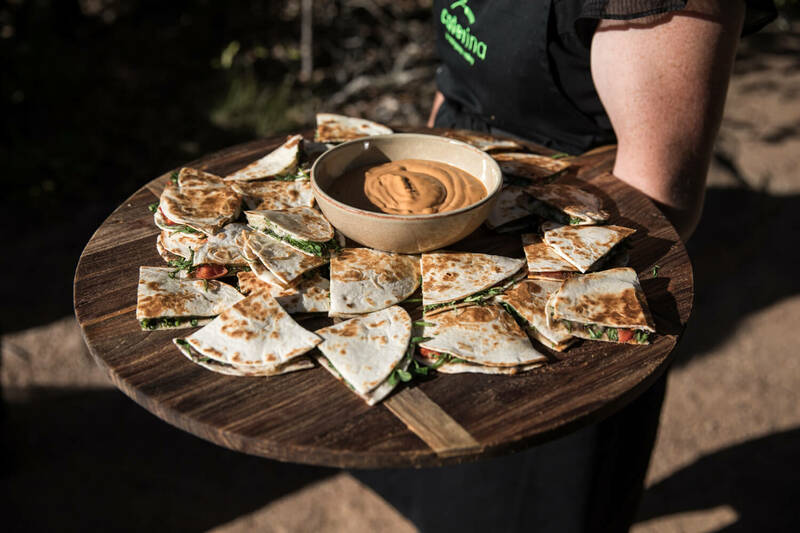 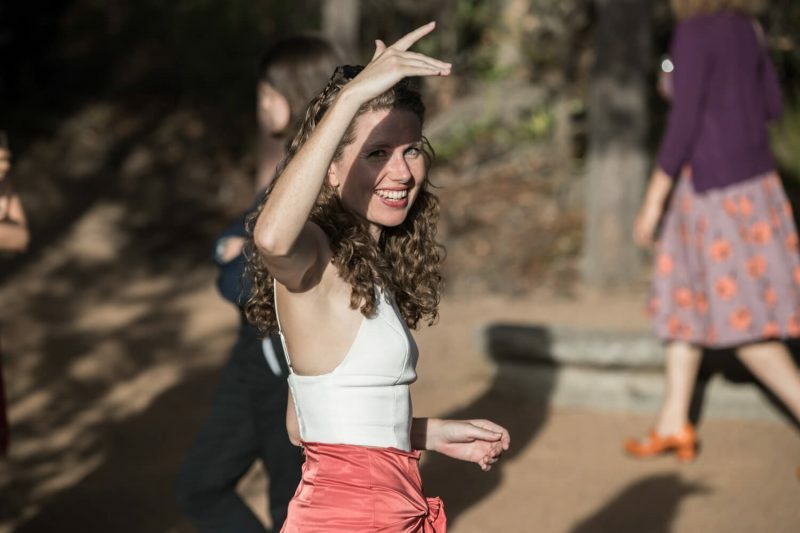 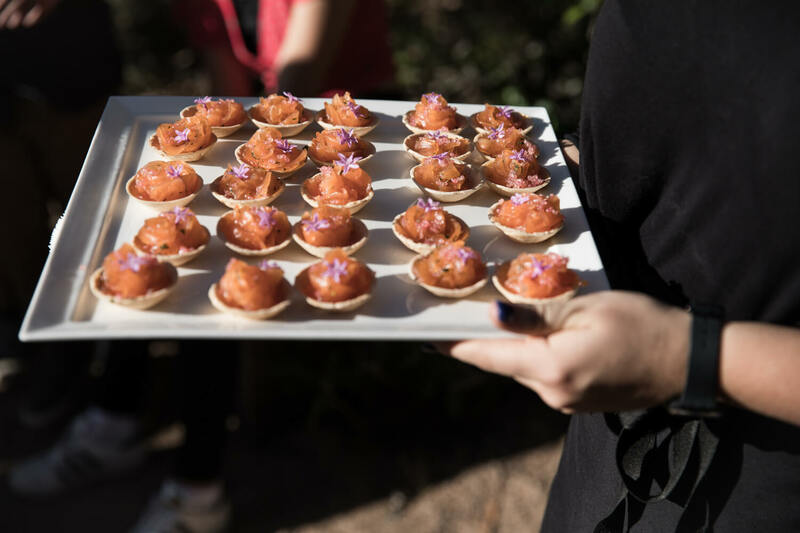 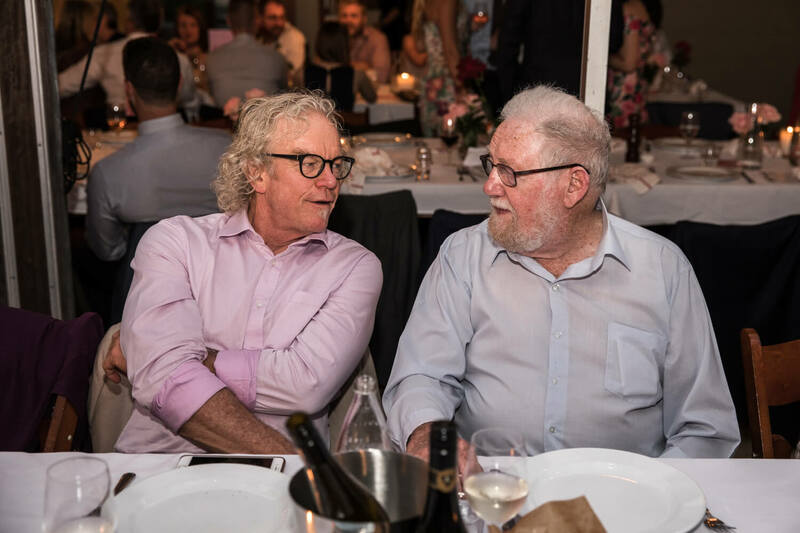 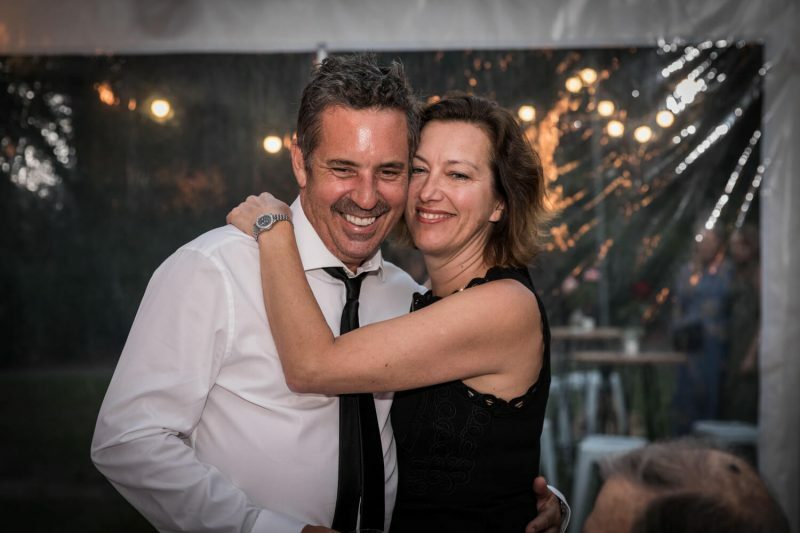 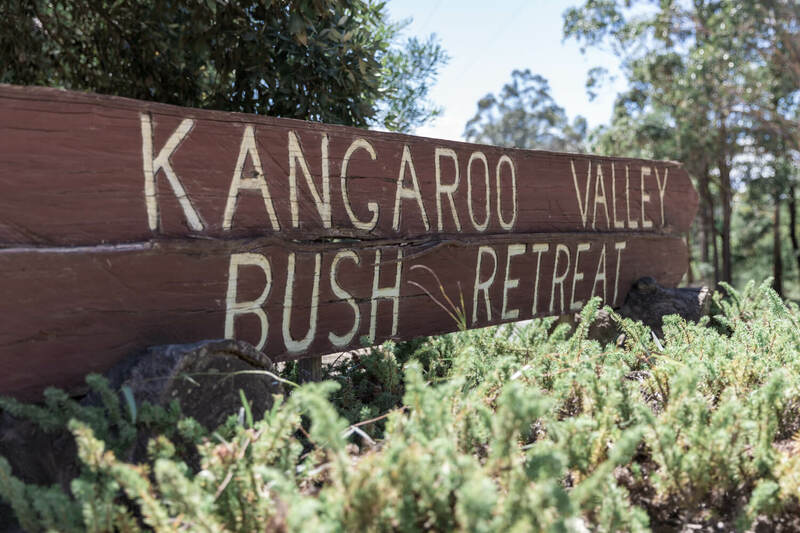 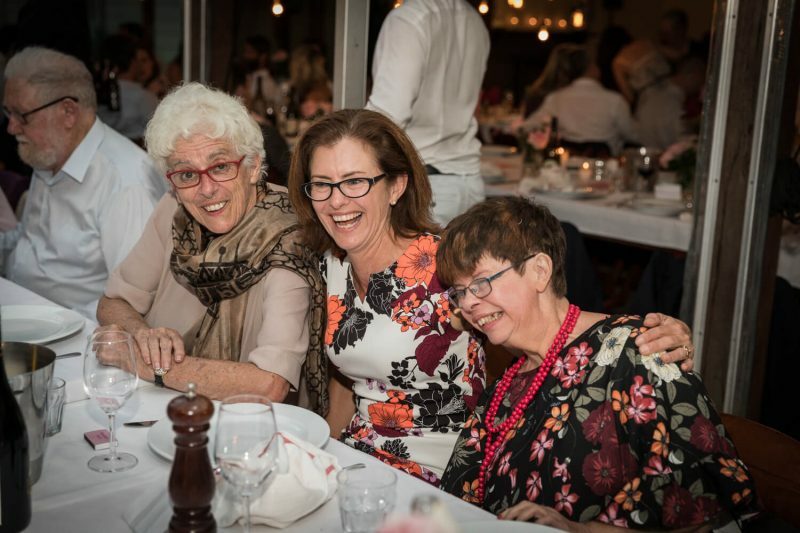 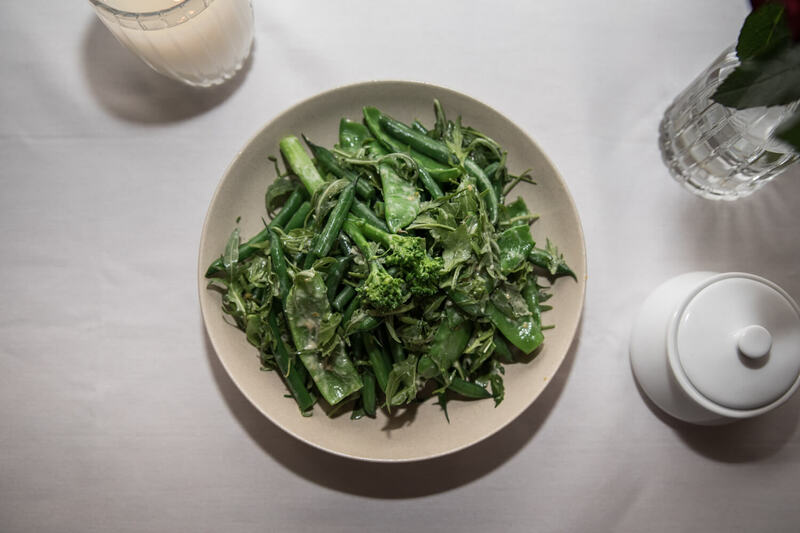 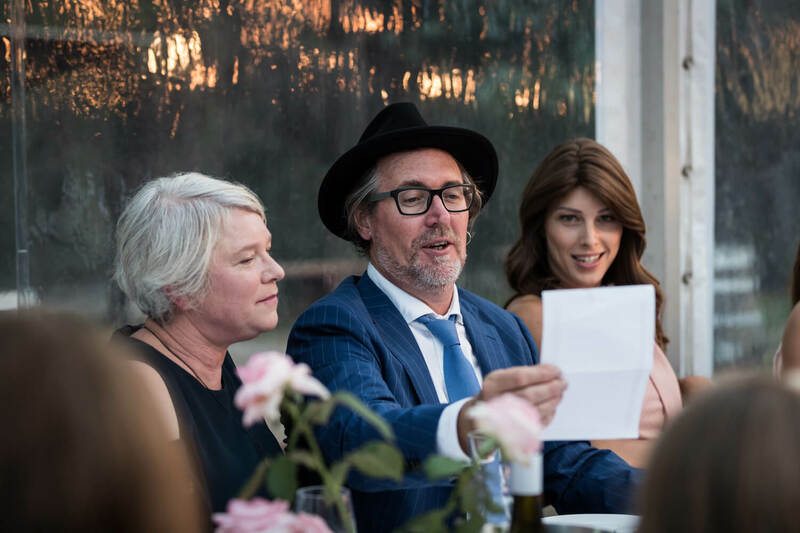 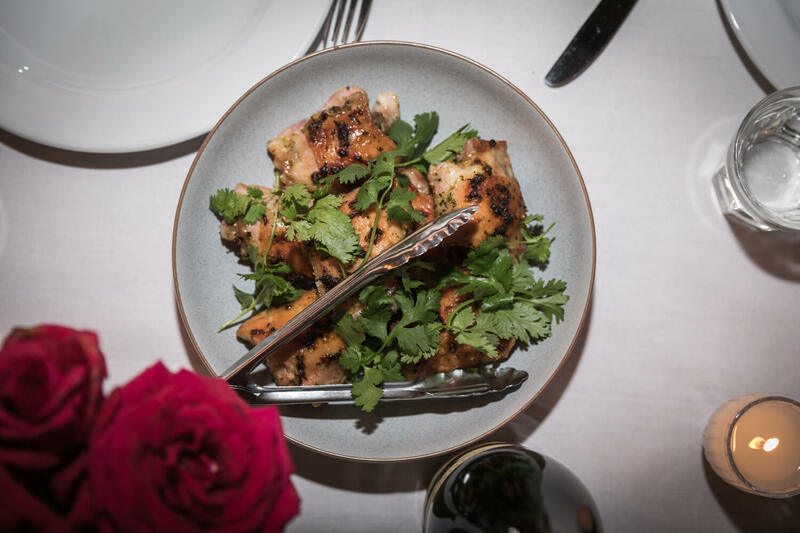 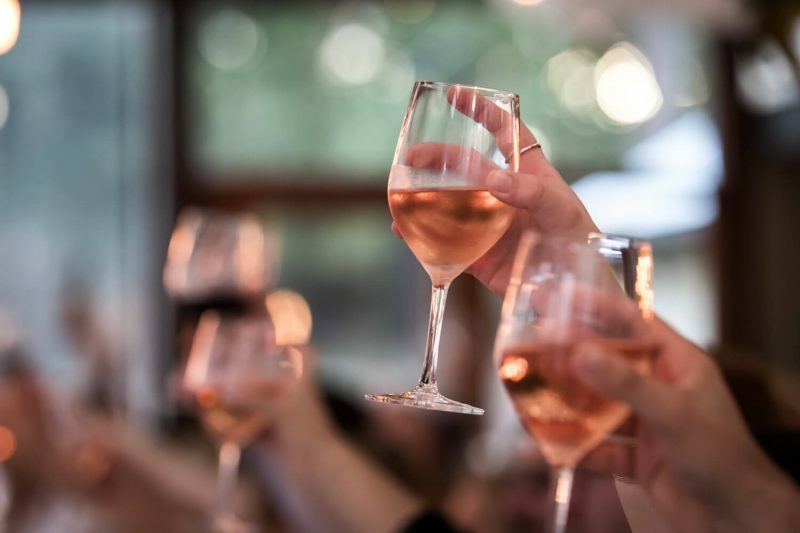 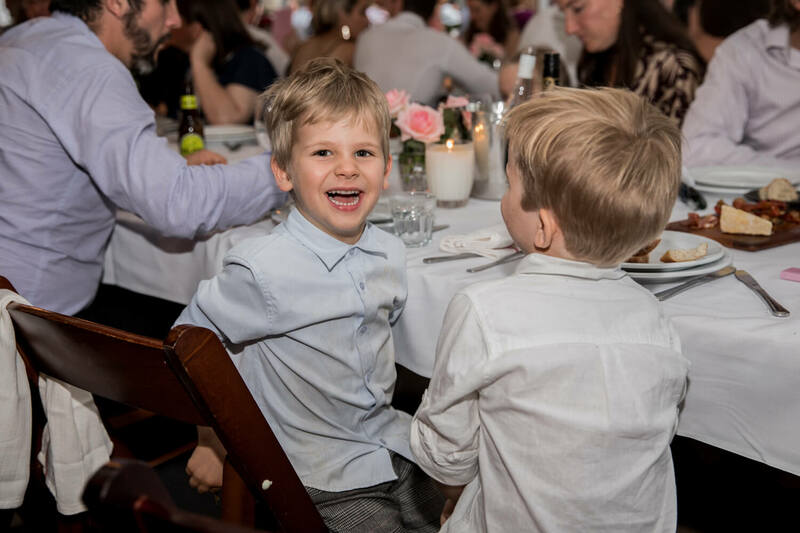 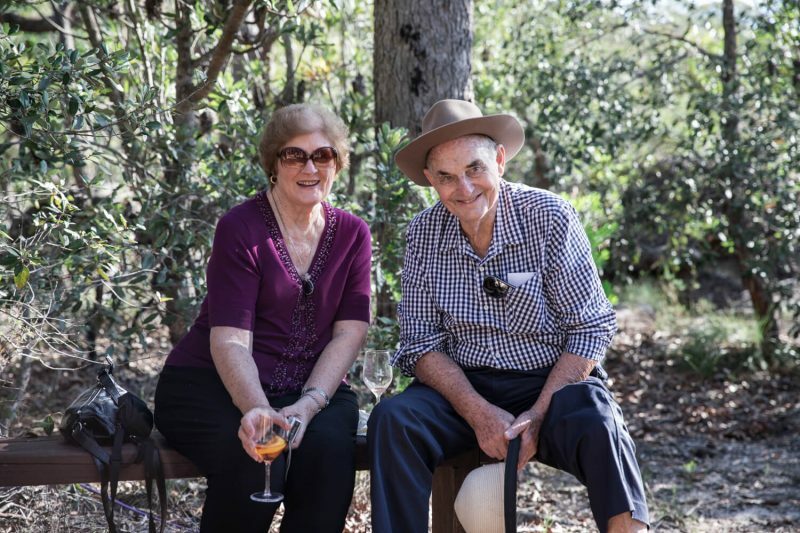 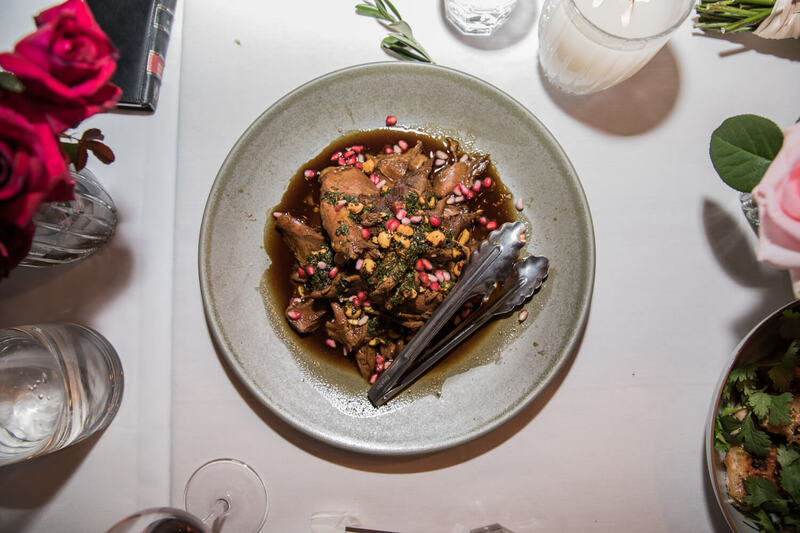 With lots of laughs, some delicious food served by Kangaroo Valley Bush Retreat and a whole lot of dancing. 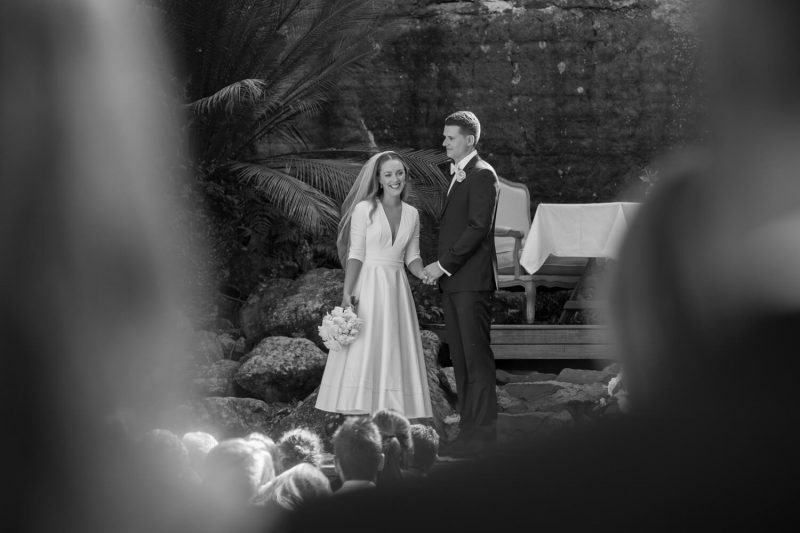 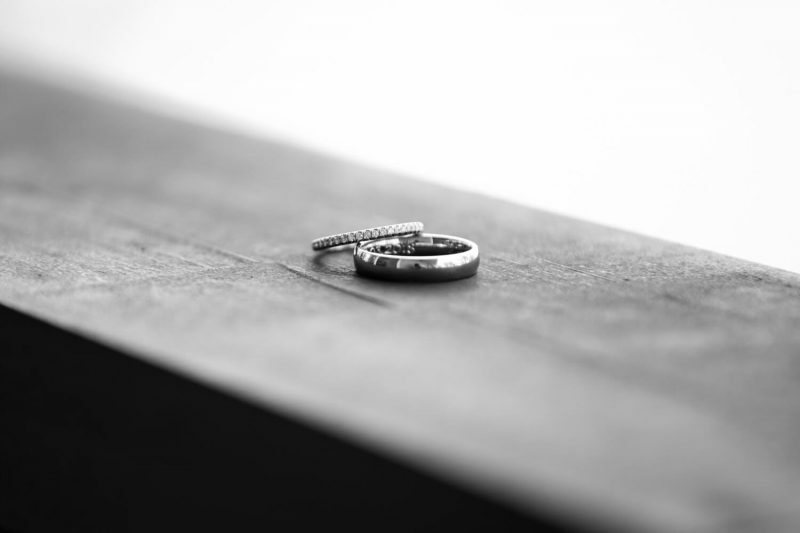 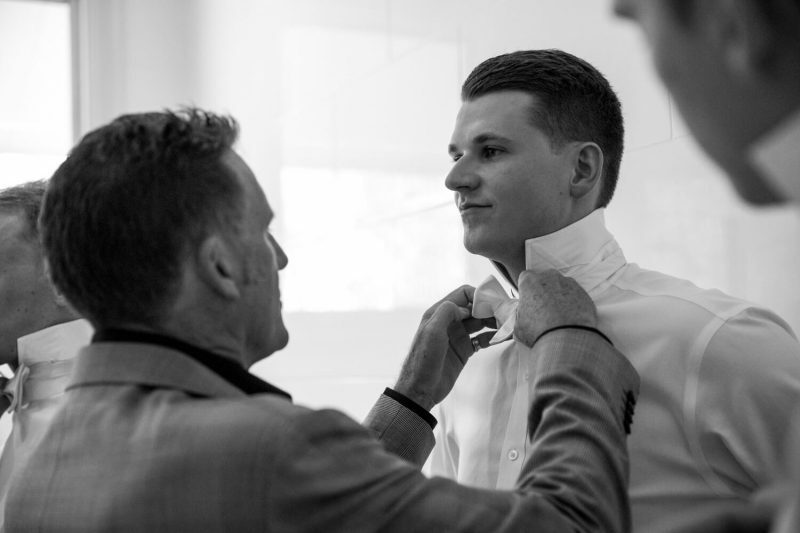 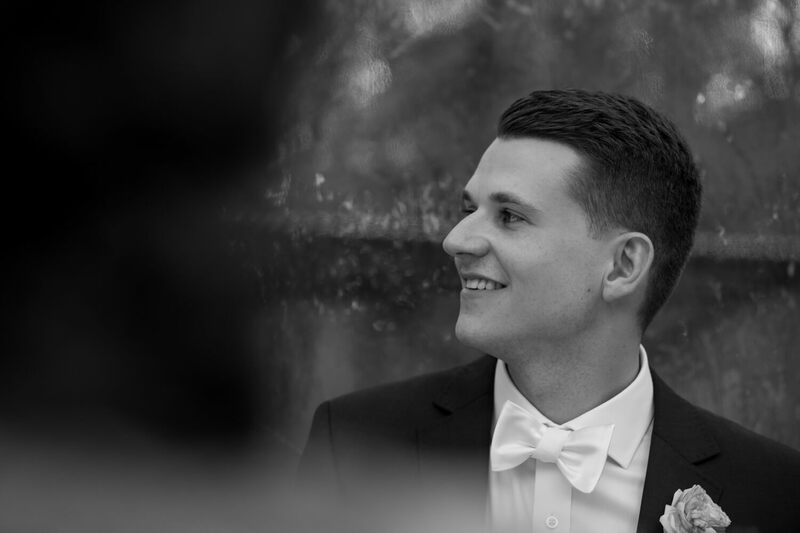 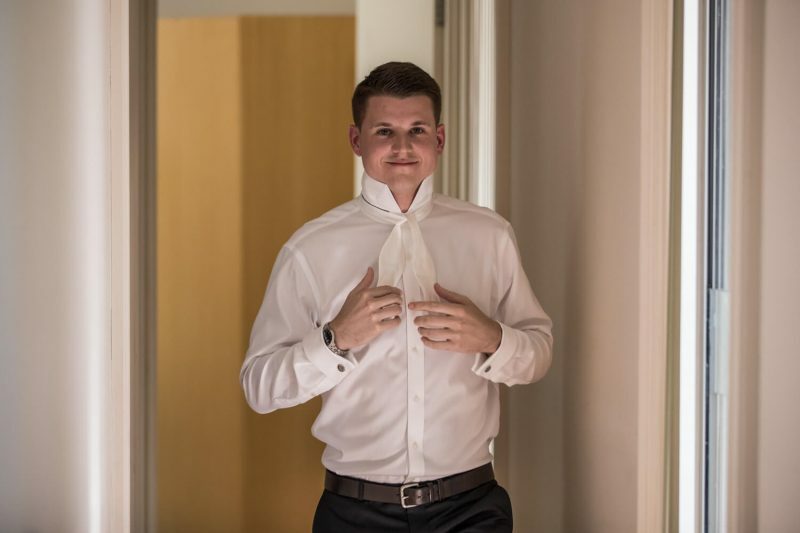 As a wedding photographer, its a real privilege getting to share and document the special moments which unfold throughout the course of the day. 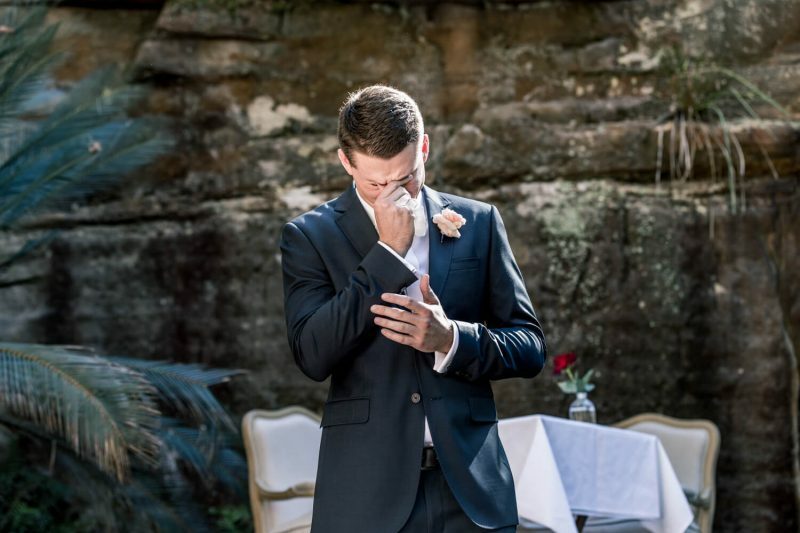 Another ending to another fantastic wedding. 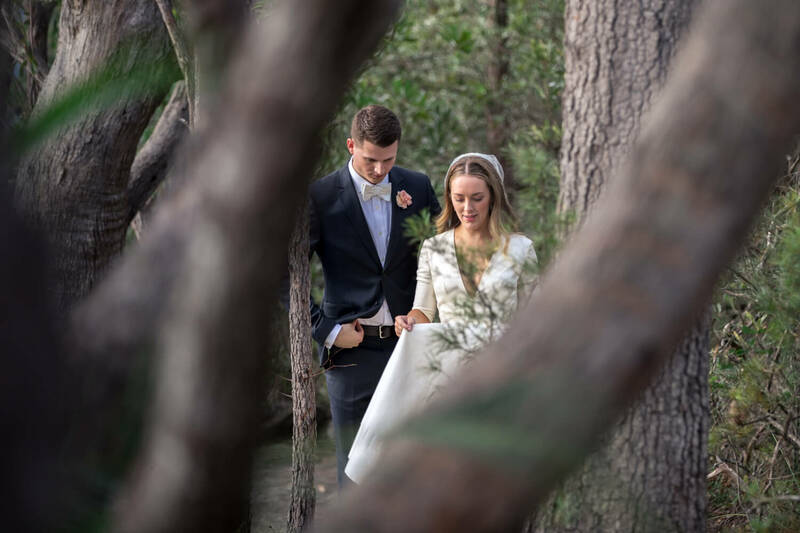 If you are looking for a wedding photographer and would like a copy of our package and price list then please get in touch with us via the contact page. 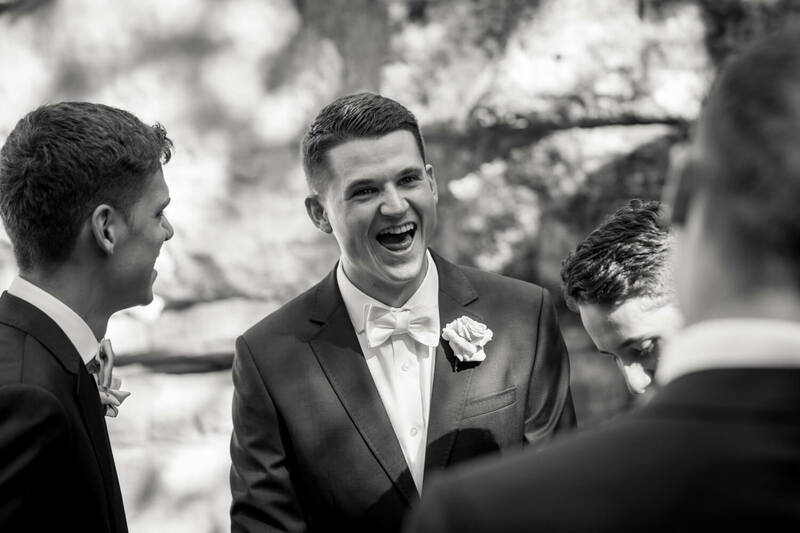 We have also recently made some information available for any bride or groom to download. 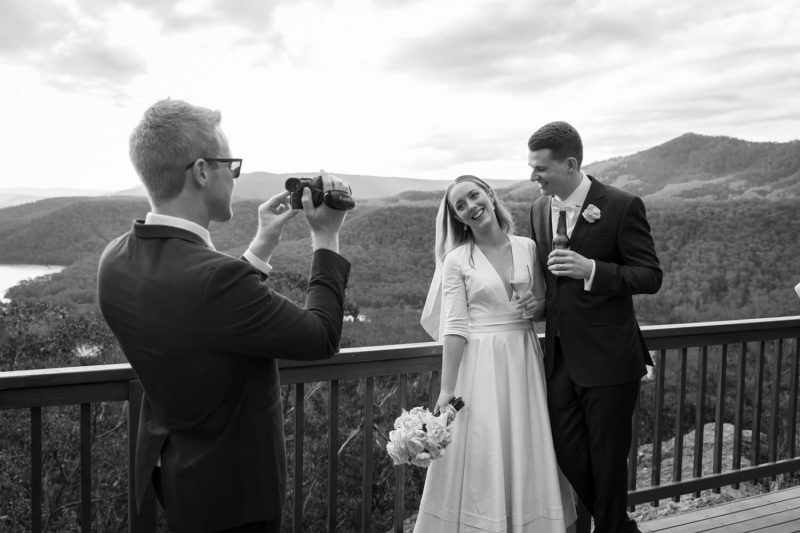 Its designed to make you aware of what you can do as a Bride and Groom to maximise the quality of your wedding photos. 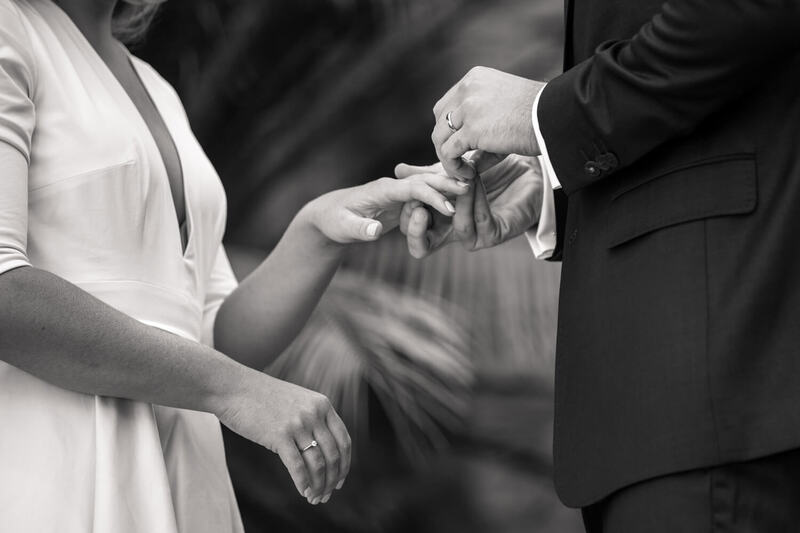 In the past, we have only supplied this information to our couples but now it is available for everyone.